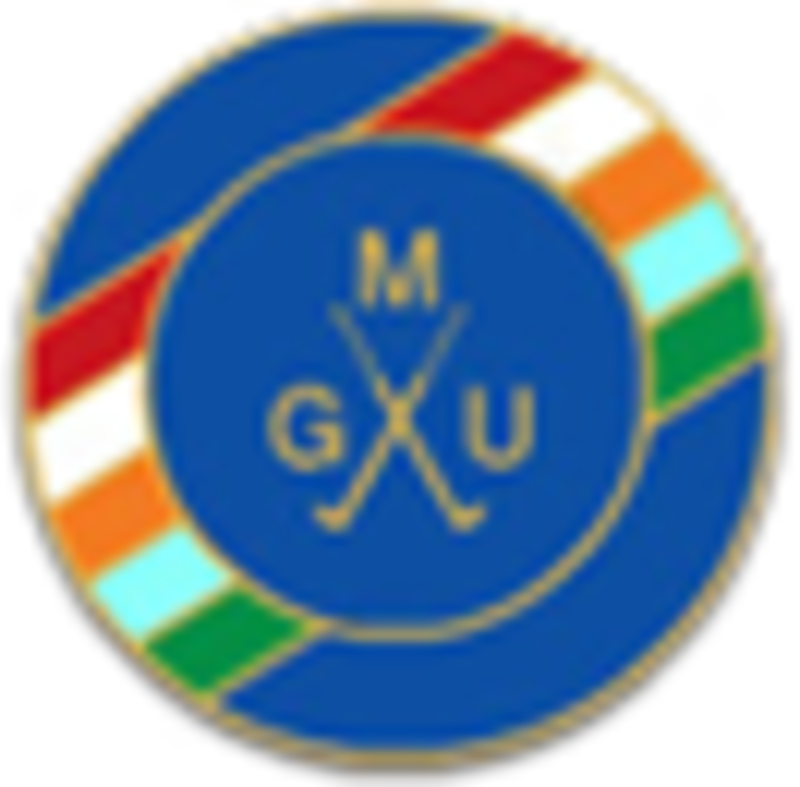 Junior News :: The Union exists to promote golf in the County and to provide competition for the top county players as a route to Midland and International golf. As you can see by the huge smiles on the girls faces they and had a great day. 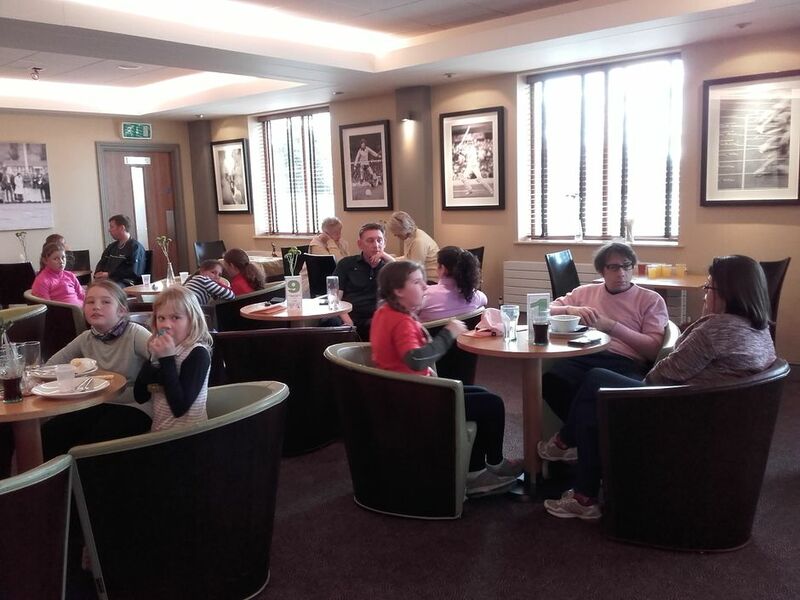 Lichfield Golf and Country Club as always did us proud, the 9 hole course was in good order with tricky but fast greens and the girls were rewarded with hot food after their rounds. 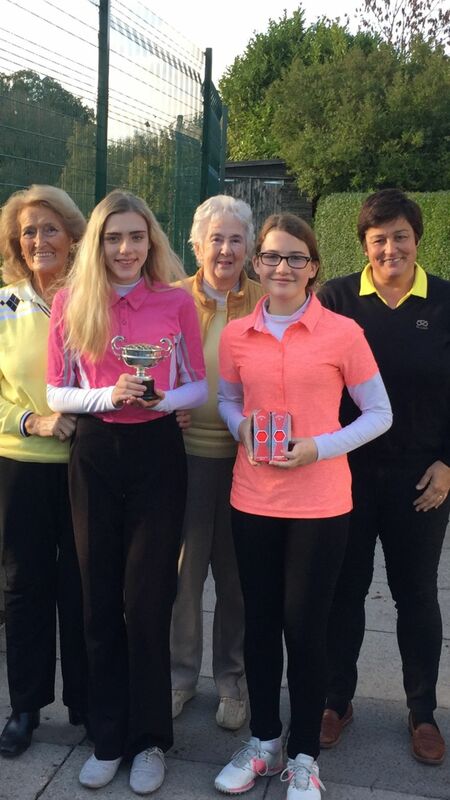 With better weather this year it was reflected in the scores, from left to right winner was Olivia Robson, 43, runner up Pheobe Collins, 55 and in 3rd place Rhianna Bachra, 56 . Many thanks to Madam Captain Jenny Leech (pictured) and the other Lichfield ladies for their invaluable help with the girls. All 12 girls played well and enjoyed the day, especially when they drove over the water on the 6th! Follow us on our closed Facebook page For news and information on events and competitions s earch Staffordshire County Girls, then request to join. We are now taking Direct Payments for competition entry as well as any parental contribution for coaching. 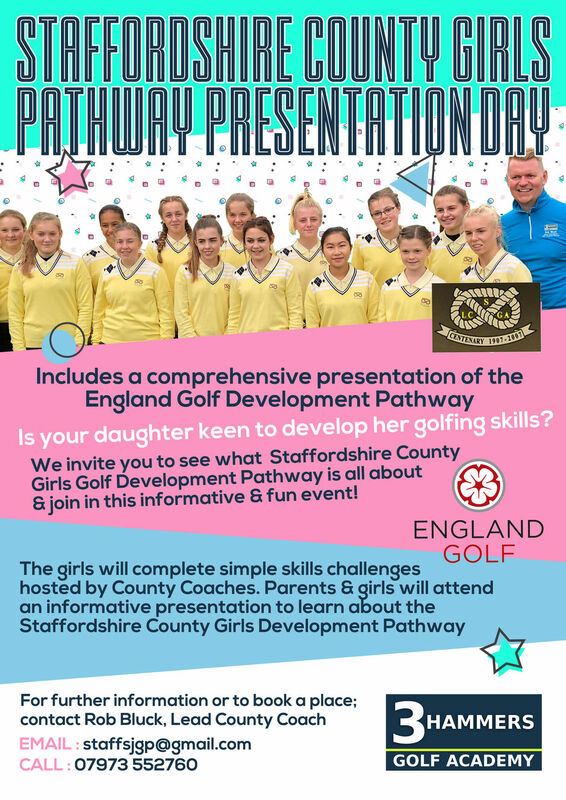 Calling all Junior girl golfers, if you would like to join Staffordshire County Girls pathway please see details below. 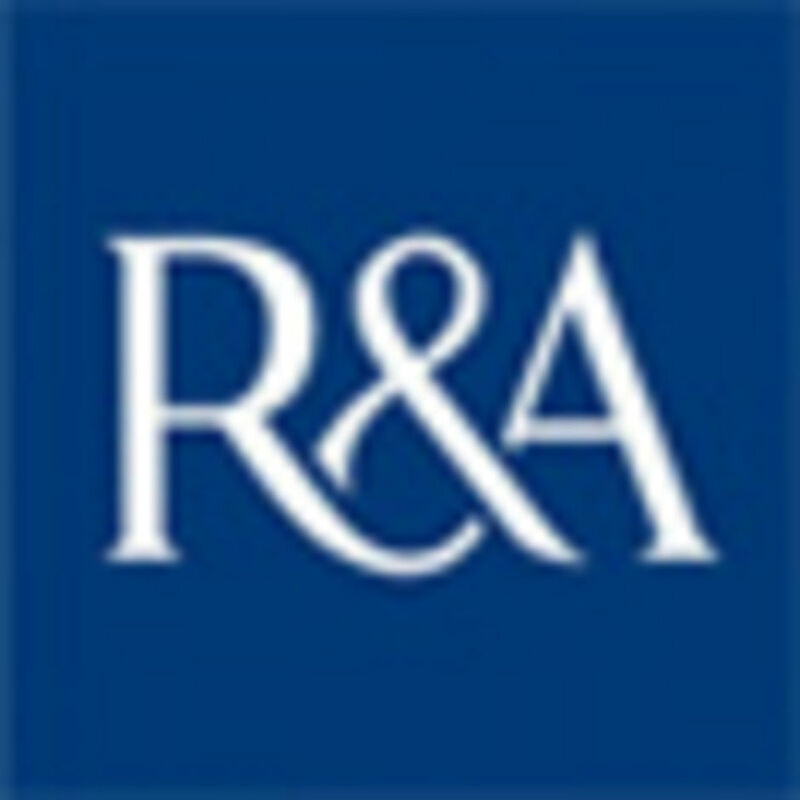 Click on the link below to get all the information you need for the rule changes that come into force on 1st January 2019. 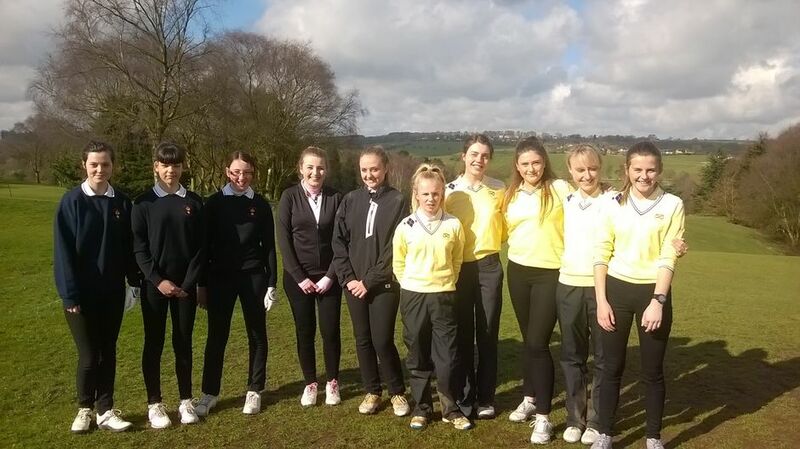 12 Staffordshire girls teamed up with the Ladies from Ingestre Park to play a friendly game of betterball matchplay on a beautiful but cold Sunday afternoon in November. 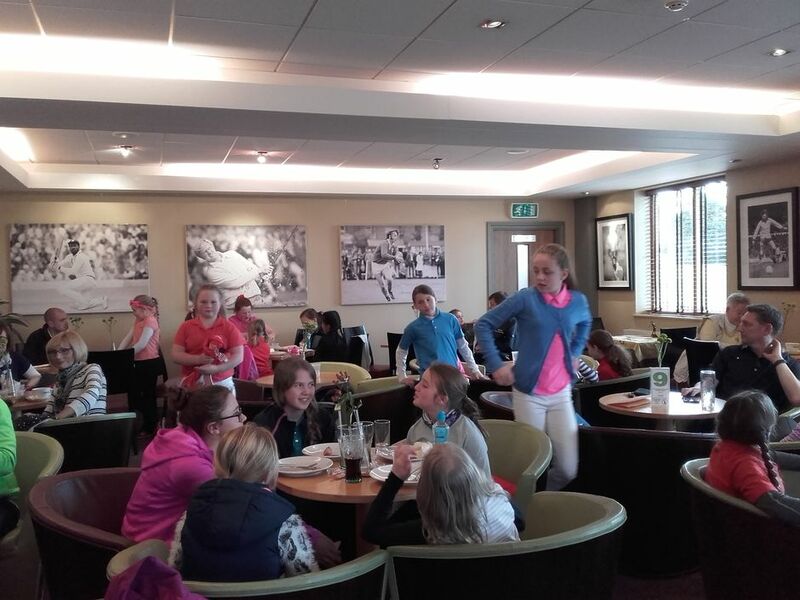 Both sets of players picked up a few hints and tips on matchplay whilst having a bit of fun. Pictured on the left Lilia Marklew, Georgia Chapman, Neve Collins, Abbie Talboys, Georgia Lynn, Bobby Fang and Olivia Whittle and to the right Jamie Hand, Nikita Da Silva, Amelia Taylor, Izzy Hurrion, Tanya Collins and Caitlin Matcalf (not Pictured). 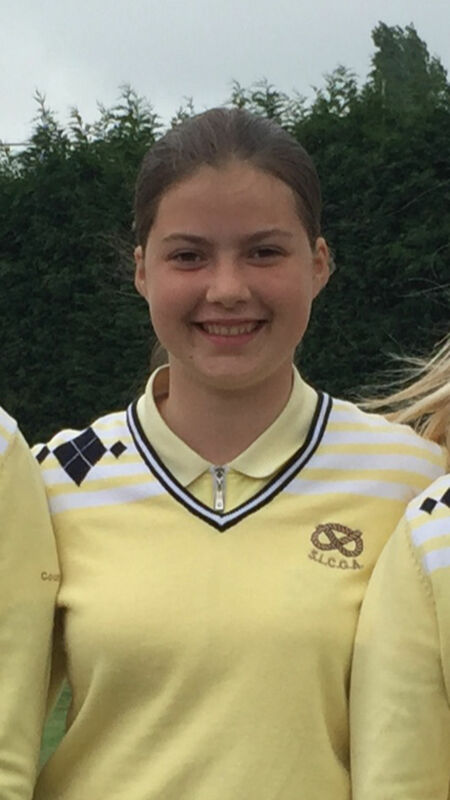 Our Junior Captain for 2019 is Georgia Pritchard for Beau Desert GC. 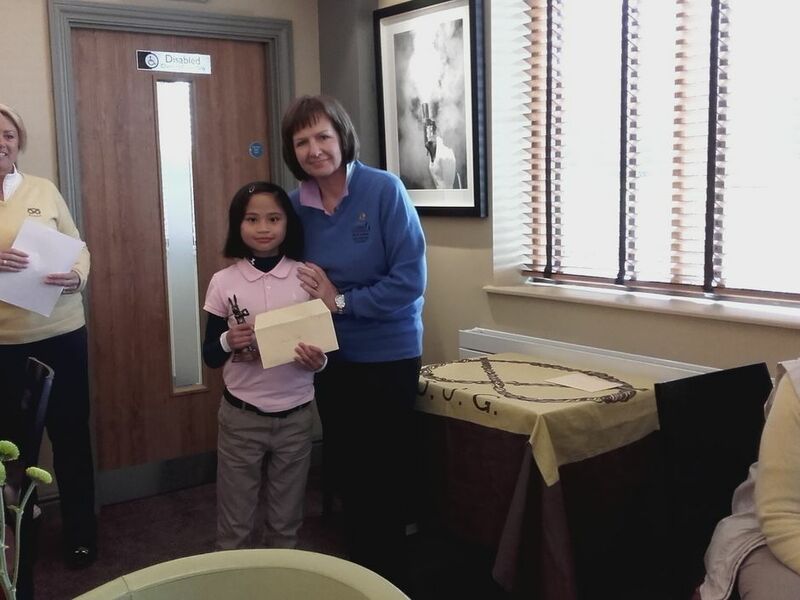 Georgia has been playing golf from the age of 8 and got her first handicap at 10. 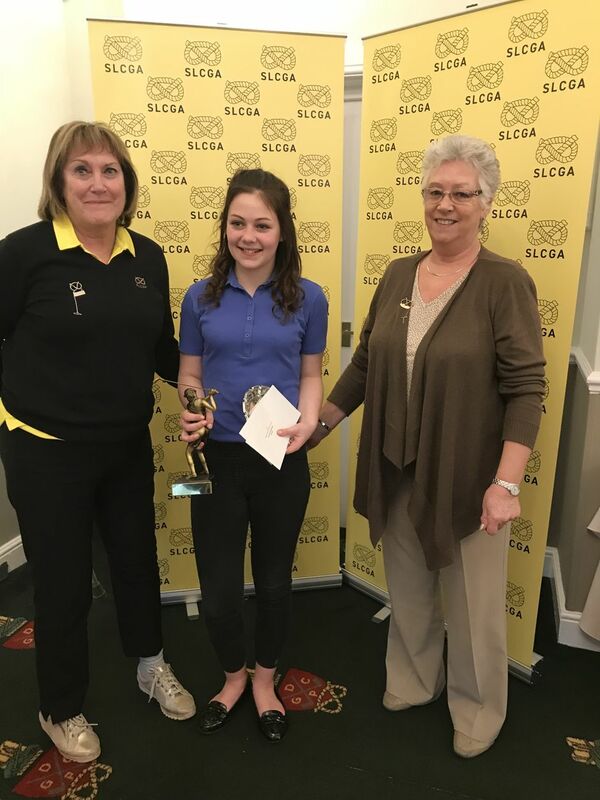 She earned her Junior county colours in 2016 and was Girls County Champion and Ladies County Champion in 2017. Since then she has gone on to represent Staffordshire at 1st team level. Have a great year Georgia. 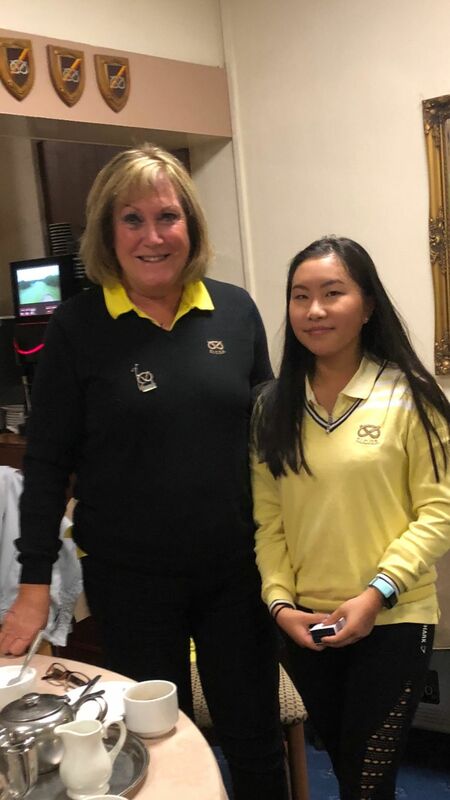 3 girls earned their Junior County Colours, Katie Symonds from Aston Wood, Jasmin Luo and Hannah Golding both from Brocton, very well done girls. 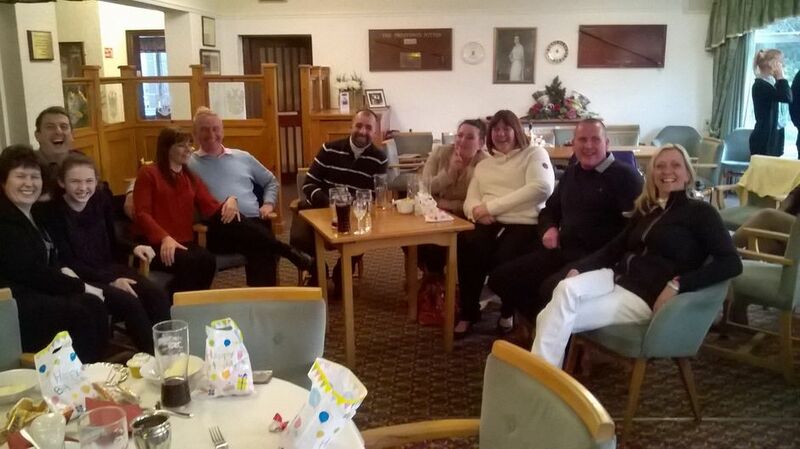 At a change of venue the Sue Turner Trophy was played for by most of the Elite Squad, who on a cold and drizzly day at Whittington produced some great golf. 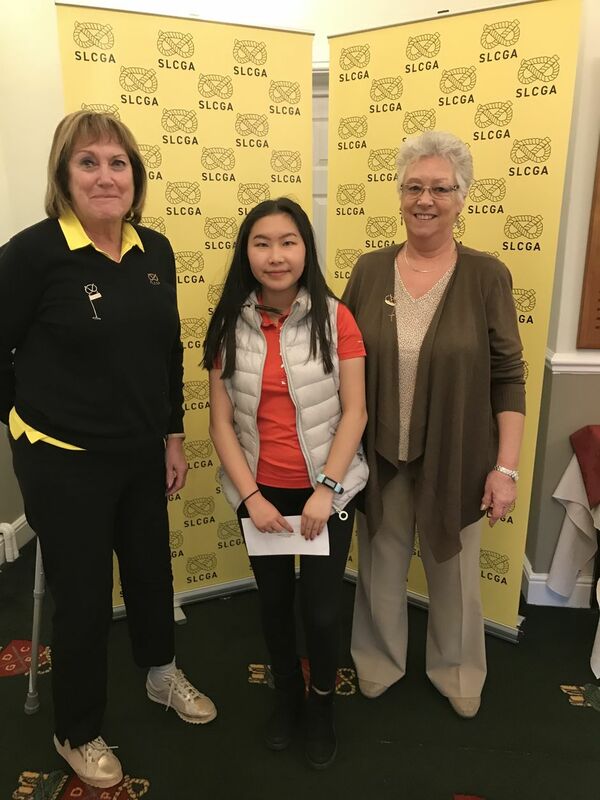 Winner with a tremendous score of 40 points was Bobby Fang from Walsall, runner up Amelia Taylor from Trentham with 35 points and in 3rd place Maria Tiffany Thompson from Brocton with 34 points. 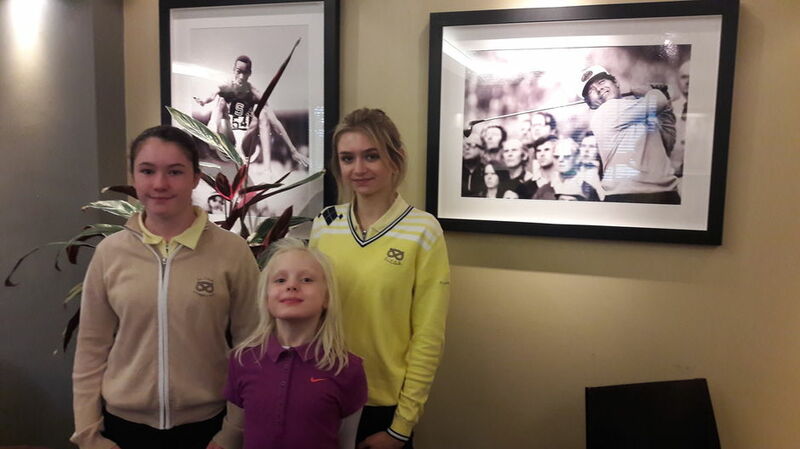 The older girls were joined by 6 girls from the Development Squad who played in a 9 hole Comp, this was won by Lillia Marklew from Enville with an impressive 20 points and runner up was Libby Botten from Brocton with 14 points. 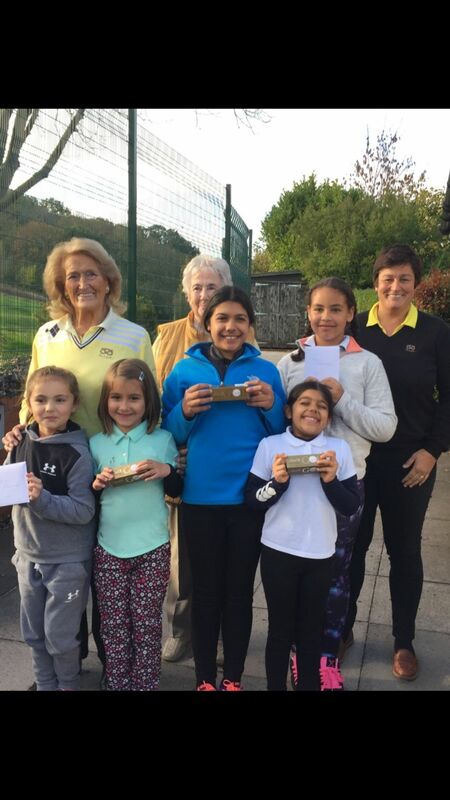 On Monday 29th October 3 girls played in the Bronze Cup on a beautiful autumn day. The winner was Isabella Speck from Whittington with 35 points and runner up was Neve Collins from The Chase with 24 points. 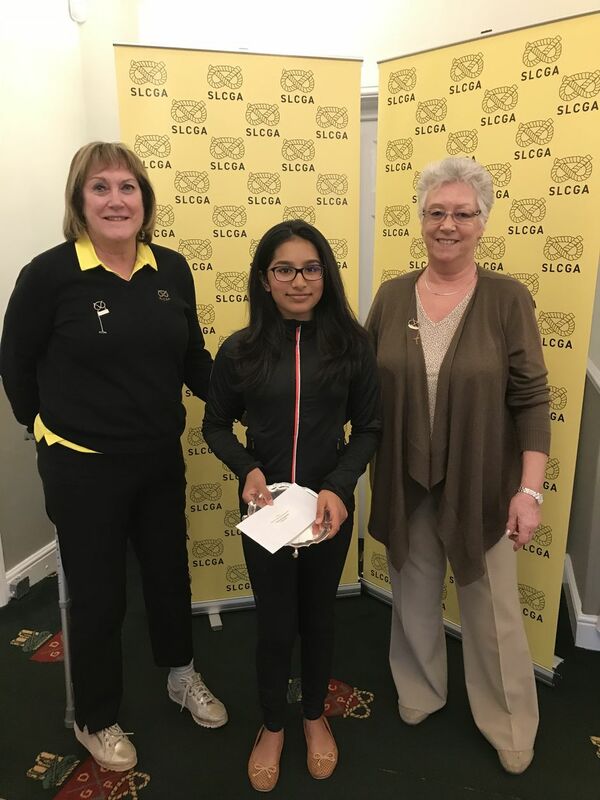 The Beginners Championship 9 hole was won by Kennedy Murphy with Ryka Verma runner up and 7 hole winner was Cassie Allsop, Ricci Verma 2nd and Eva Taylor 3rd. 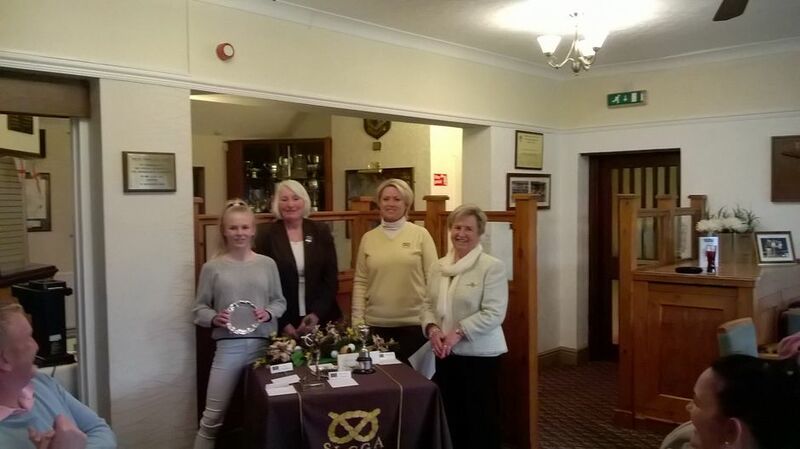 Sunday 15th April saw 13 newbies play for the Rabbits trophy, a 9 hole Par 3 competition open to girls without a Congu Handicap. The cold matched with pretty soggy conditions did not deter these keen new starts who all played well. On a grey day and at a slightly soggy Trentham, 8 Staffs girls battled hard against the best U16 County boys and came away with a well deserved halved match. All pairings were played in great spirit and all bar 1 game the results were extremely close. Well played to Morgan Thomas, Georgia Pritchard, Katie Symonds, Ellie Treadwell, Caprice Sanders, Jasmine Luo, Chloe Williamson and Oilvia Whittle. At a very sunny Drayton Park GC 10 scratch and 3 handicap entrants played in this year's Championships. Well played to all who entered. 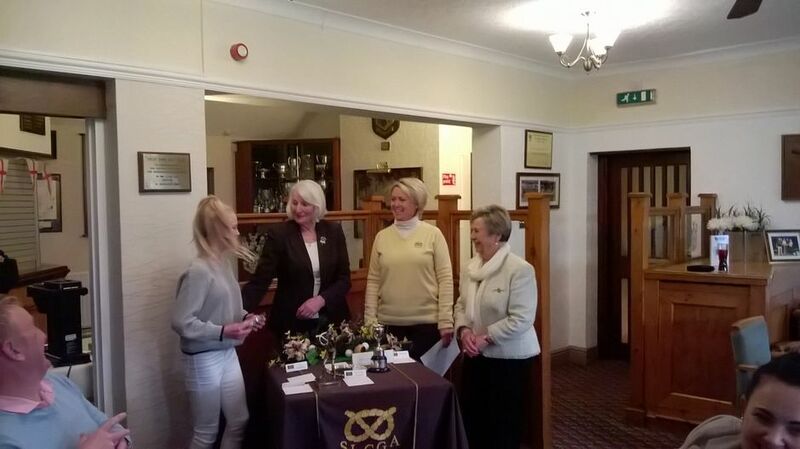 Trophies and prizes were awared by Di Jeynes, County President and Val Morris Drayton's Lady Captain. Tomorrow's County Championship and Bronze plate are still going ahead as advertised. 2018 County Schools Trials will be at Brocton Hall GC on Tuesday 10th April. Restricted to Boys with Active handicaps 12 and below and Girls with Active handicaps 20 and below. You must be in full time education in a Staffordshire or College to enter. This is a gross competition. 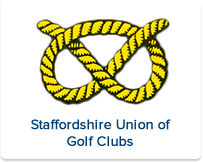 The purpose of the trial is to select 5 Boys and 3 Girls to represent Staffordshire Schools at the Midlands School Championships at Kibworth Golf Club, Leicestershire, Friday 1st June. On a cold but dry December day we played our end of year celebration competition at Three Hammers. All girls on the County Pathway were invited, from the girls playing off single figure to the little ones without a Congu handicap. 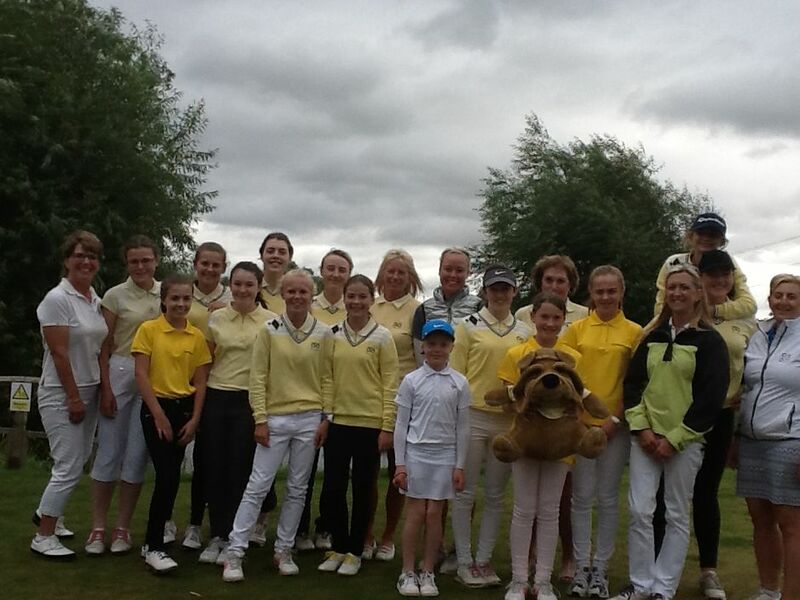 This event was played in great spirits and saw the older girls caddying and helping the younger ones. It was a fitting end to another great season. Have a very Merry Christmas and see you in the New Year! A great day had by all, and it didn't rain ! Thank you to Ella Pugh for being this years Team Captain and for supporting the County Girls over the past 5 years. Ella also won her County Colours which were presented at her last Girls Match today. 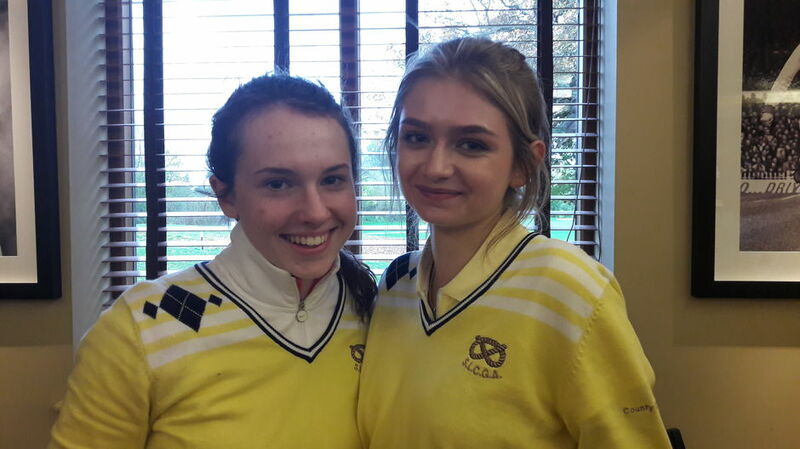 2 new players on the scene this year, Emilia Harris and Izzy Austin, looking forward to seeing more of you in our beginner competitions. Our future County Stars ! And supporters President Diana Jeynes and Louise Manning. 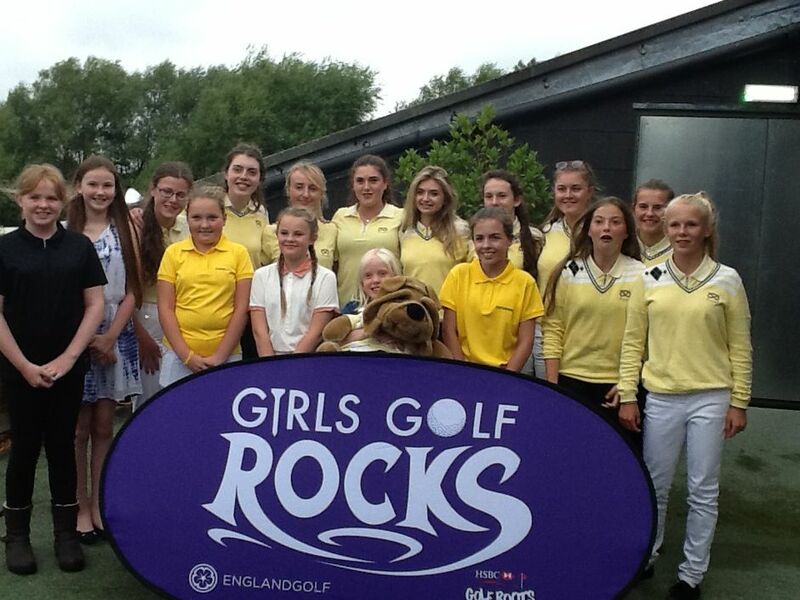 The Girls' Competitions were played on 14th August at Stone Golf Club. Happily, the rain stopped just as the first girls went out. 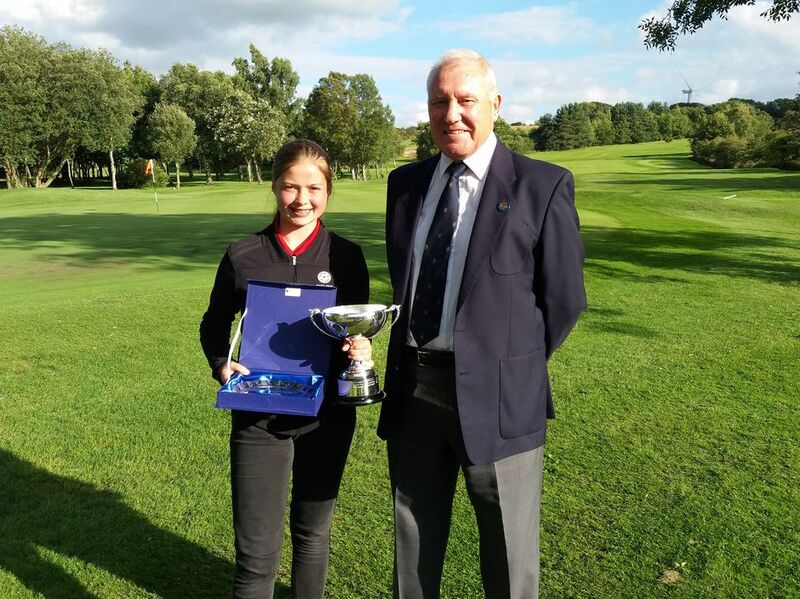 Hannah being presented with the Trophy and a commemorative salver by Roy Case, Chief Organiser of the Championship. A fantastic result following a hard, competitive week playing three rounds in very different and, at times, difficult conditions. Day 2 - Heavy overnight rain followed by torrential downpours in the morning which led to play being suspended for 50 minutes. 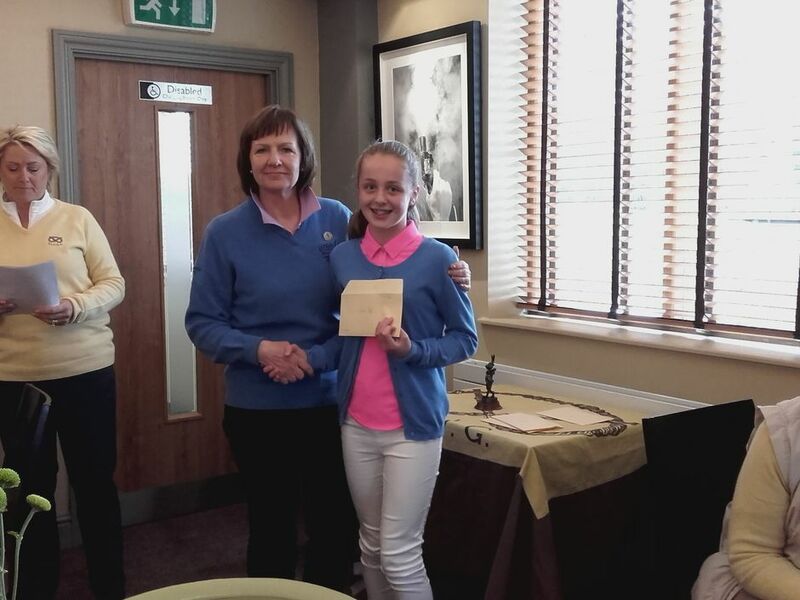 Hannah coped magnificently shooting Gross 78 (Nett 71) on Day one and Gross 80 (Nett 73) on Days two and three. 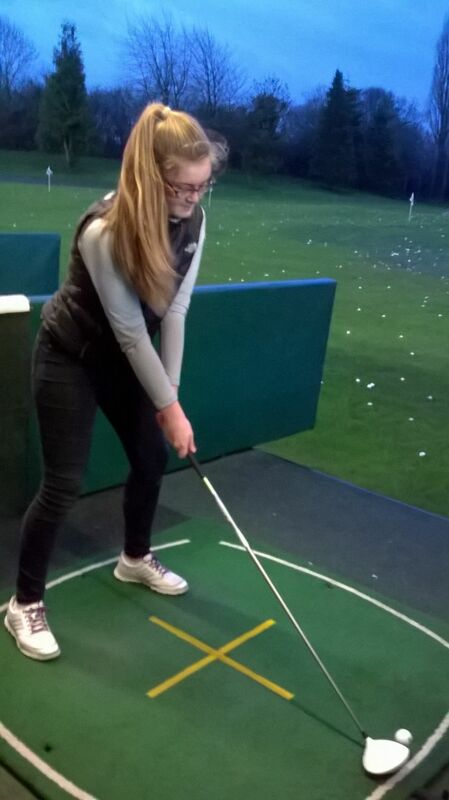 As a result, Hannah will hopefully reach her targetof 5 handicap for this year. Hannah and Kirsten were the first to tee off on Day 1, racing round in 2hrs 50 mins. They probably took the initial comments from the starter about avoiding slow play to heart. 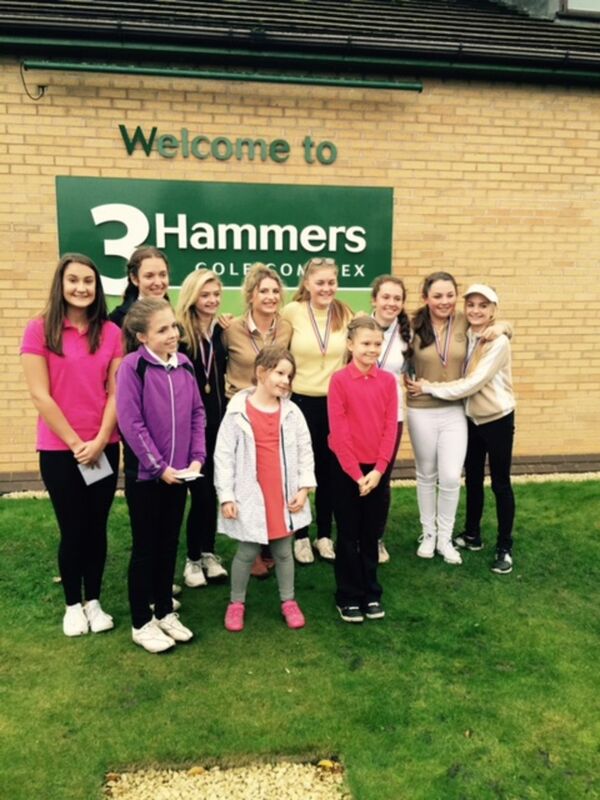 Hannah is now off to the English Girls U14 Open at Borden in Hampshire - GOOD LUCK HANNAH! 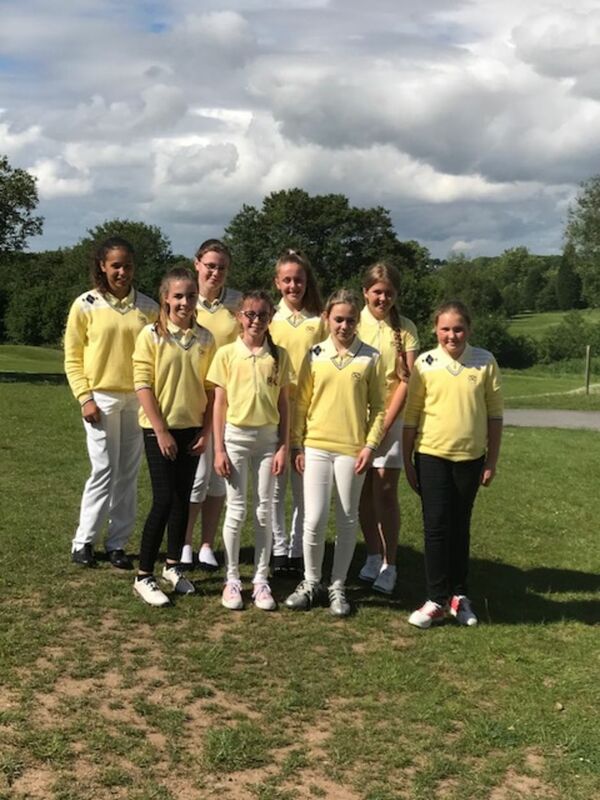 The County Girls played their North Region League matches today at Telford Golf and Country Club against Lincolnshire in heavy rain. This did not deter the girls from playing really well, winning 31/2 - 11/2. In the afternoon, they played Leicestershire and Rutland in glorious sunshine, winning 4-1. The weather was kind and we stayed dry albeit slightly cold! Cheshire fielded a very strong team which made it a tough contest. The girls were on form following their County Week.. 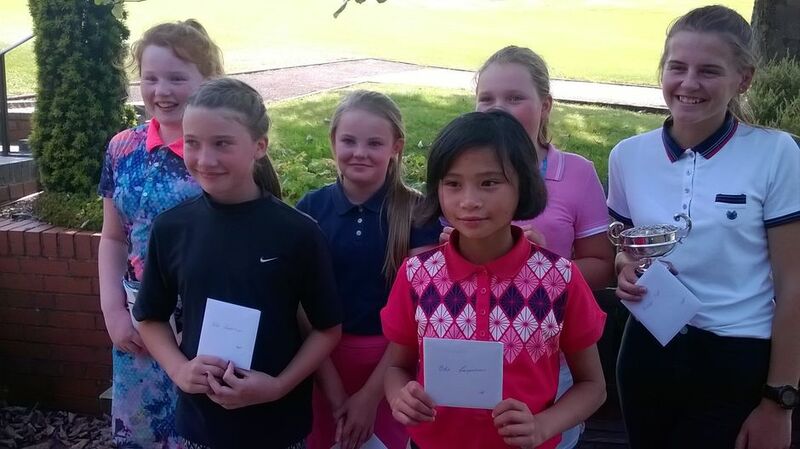 The girls played a handicap match in sweltering conditions on a very hilly course at Halesowen. They fought well and showed real team spirit. 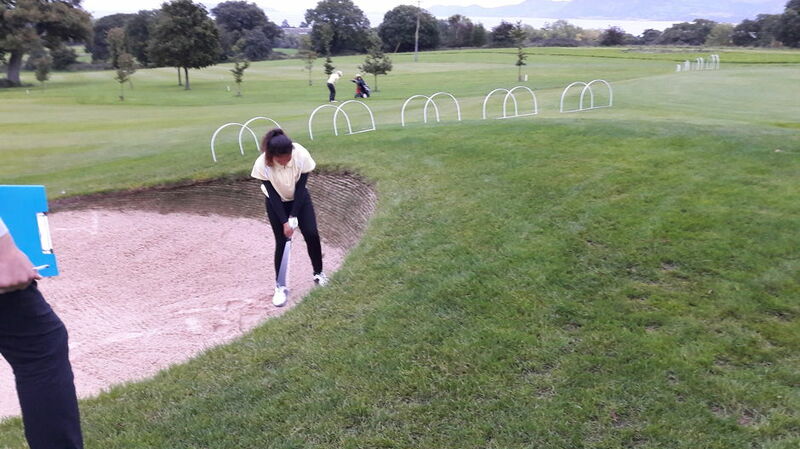 The girls played Shropshire at The Shropshire Golf Centre in the MNR handicap league. 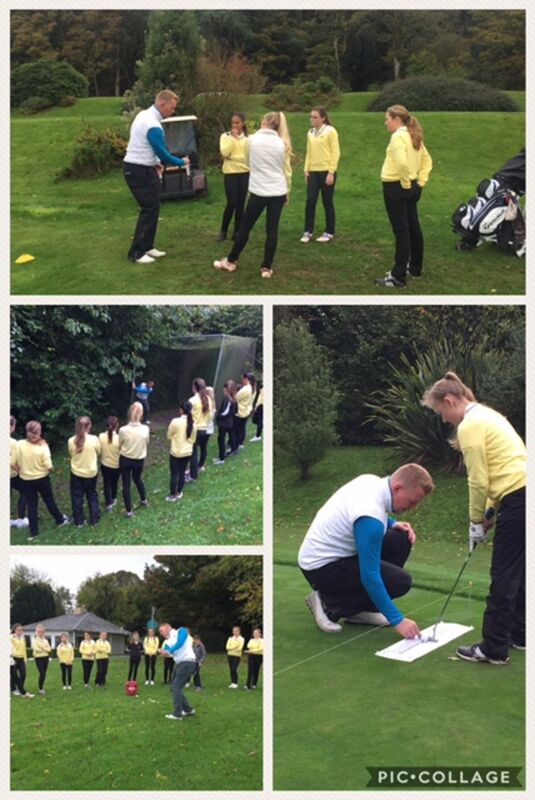 We saw some fantastic golf played with one of the girls winning 9/8 !! Well played everyone for a halved result. 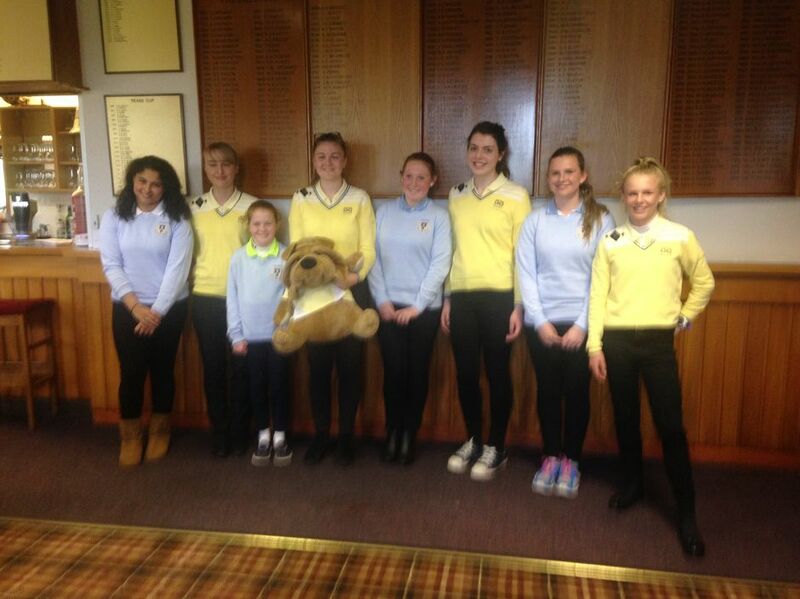 Many congrtatulations girls on winning the Girls Team Prize at the Midland Schools at Ignon Manor! 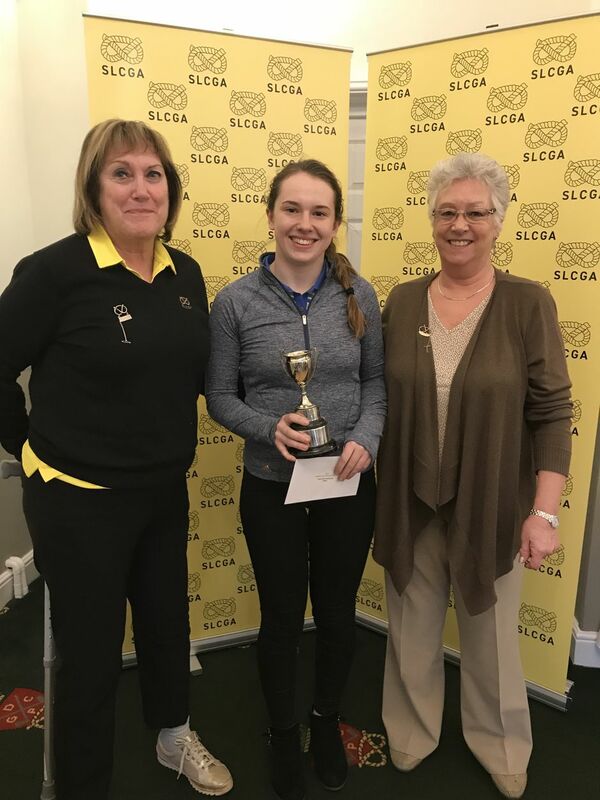 Morgan Thomas won by 5 shots from Sophie Johnson, shooting -1 & -5 (-6 total) and it has been confirmed that her 2nd round score she broke the Ladies course record at Ingon Manor GC. 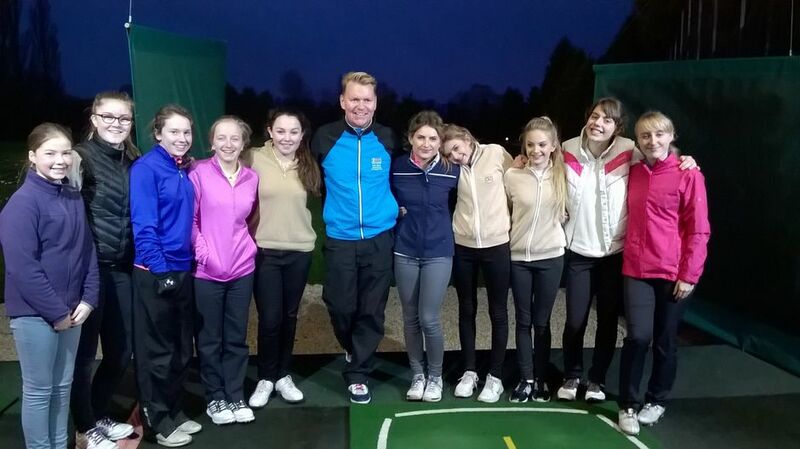 With an early tee time on a grey, damp morning the girls played against Derbyshire. The heavy showers had almost passed over when they were out again against Nottinghamshire. The top matches were very tight going all the way to 18! The opposition were tougher in this match and a 2.5-2.5 draw was a good result. Uttoxeter hosted the 2017 County Greensomes on a lovely sunny day. We had two little girls who had never played in a competition, in fact one had never played on grass. Their scores were very good and they both were ready to continue on. They are looking forward to the next competition in August. Thanks to Sandwell Park for hosting the Championship in 2017, to Julie and Lyn for organising the event and to Wilma for her refereeing skills. 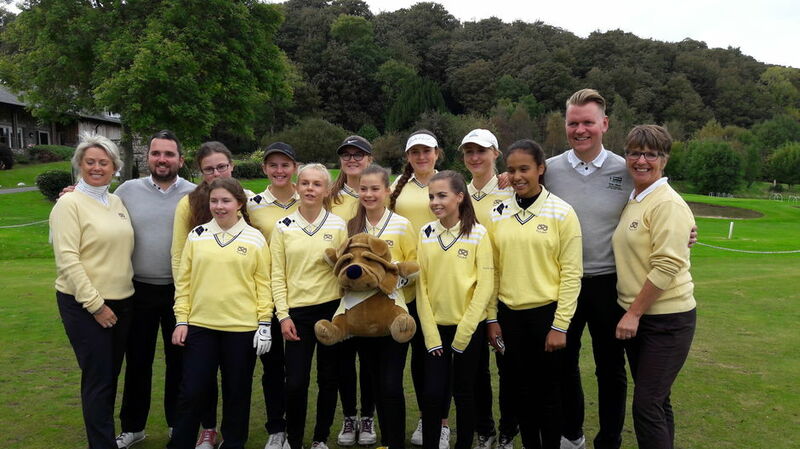 The girls played the County U16 Boys at Trentham today. We couldn't have asked for a better Spring day ! The girls lost 5 - 3 to a very good boys team. Thank you to Trentham Golf Club for allowing us to play the match and for their hospitality. Last session of winter County Training at Astbury Hall. Thank you to Rob Bluck and Olivia Raybould for all the tuition and advice given to the girls elite players over the last 3 months. Thank you to the golf club for allowing us to play the Par 3 course. Emily Suttons and Holly Hunt will no longer be juniors from January next year. 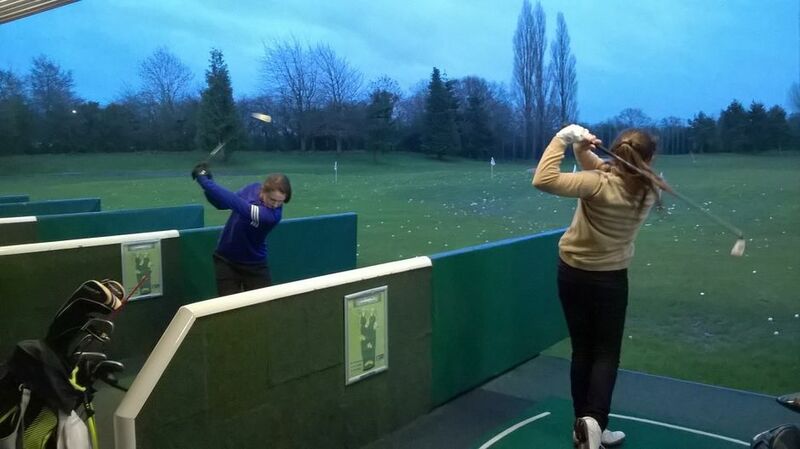 Thank you to both of them for their commitment to Staffordshire Girls Golf. 1. 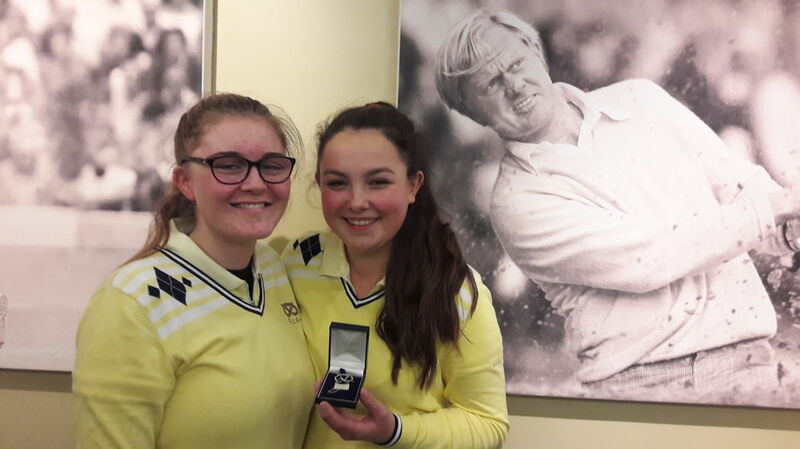 Ella Pugh Walsall GC Jnr Vice Captain 2017 with new incoming Captain Emily Brennan Trentham. 3. Rachel Birch Bloxwich GC & Georgia Pritchard Beau Desert GC receiving their county colours . 4. Winning Team, Georgia Pritchard Beau, Amelia Taylor Wolstanton, Jamie Hand Trentham. 10 girls attended the weekend all of different abilities and ages. The youngest being 13 and the oldest 17. The weather was very good again for the third year ! 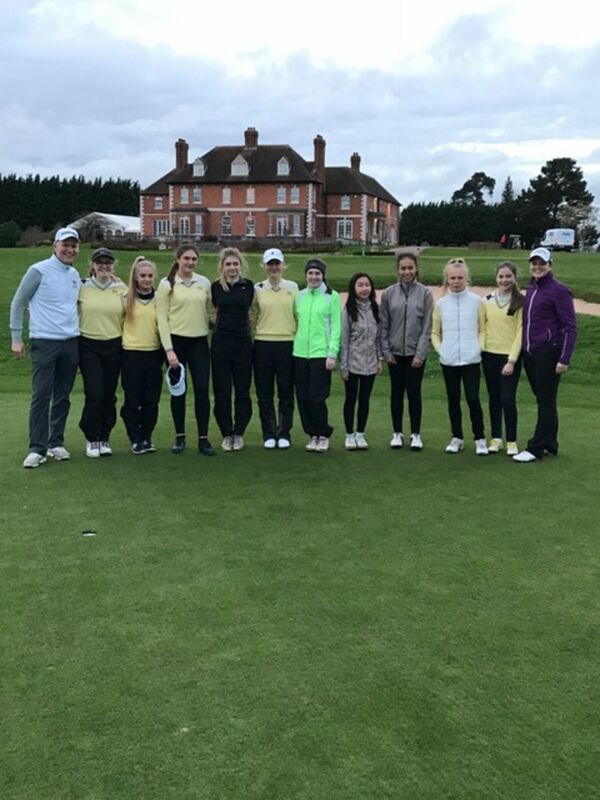 Rob Bluck and Tom Gibbs from the 3 Hammers Golf Complex came along to watch the girls play, give instruction and reports to their home coaches. 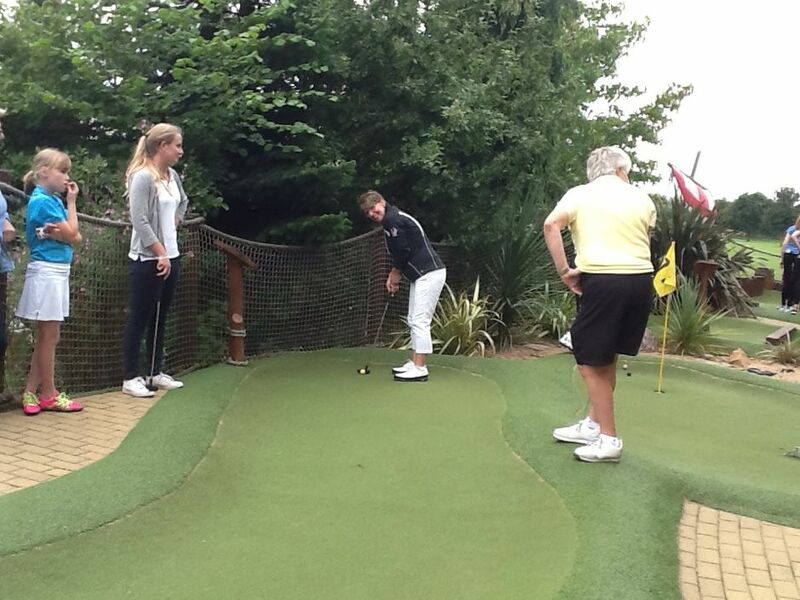 They were shown how to work together in teams using a course planner discussing how to play each hole. They played a stableford competition over the 2 days for the Turner Trophy, both round scores are added together for a winning total. 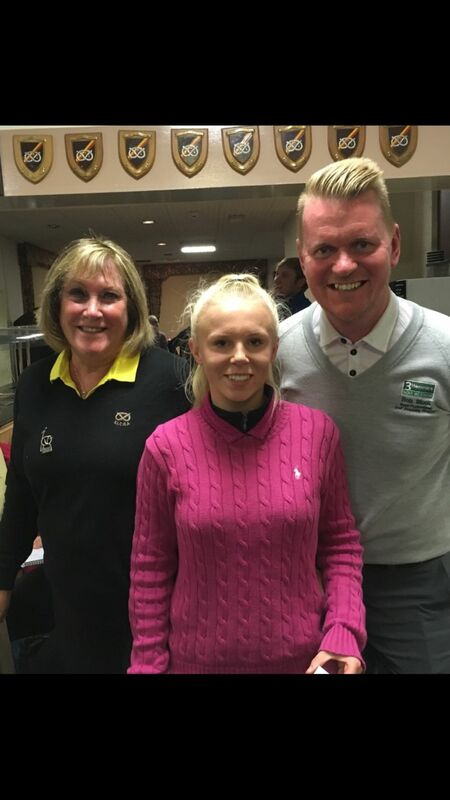 The winner was Leann Nixon from Leek GC. With a total of 69 points Runner Up Phoebe Perks from Aston Wood GC 68 points 3rd place Katie Symonds from Aston Wood GC 67 points. Henllys Hall winner Phoebe Perks 32points Bull Bay winner Leann Nixon 40 points. The girls had time to relax on the Saturday evening and team bonding as the hotel had a swimming pool, where they spent a couple of hours. 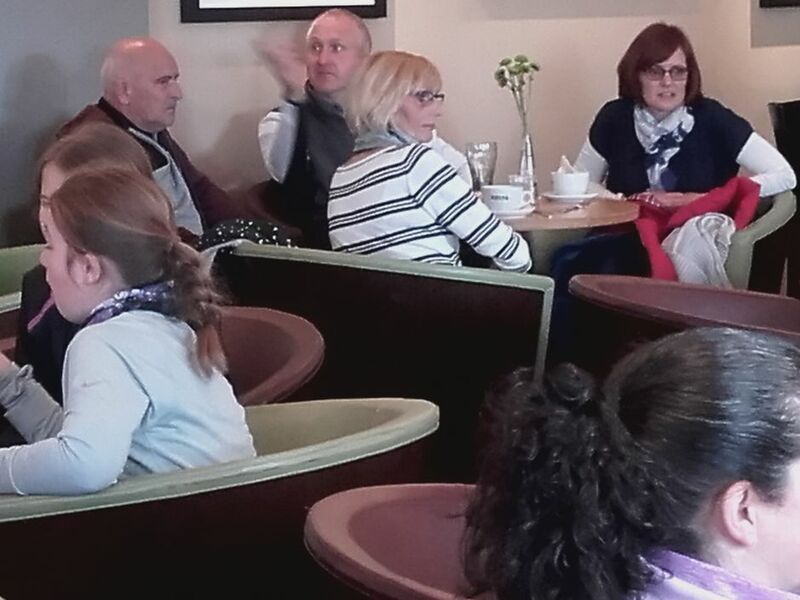 Many parents also attended which made for a sociable weekend. John Jump ( Sue Turners father ) also attended the prize presentation on the final day. He showed us a photograph of Sue with all her honours which the golf club had framed and mounted. Ironically, it was the Ladies Section Breast Cancer Awareness golf day, so we were able to donate to their day and have some of their home made cakes. 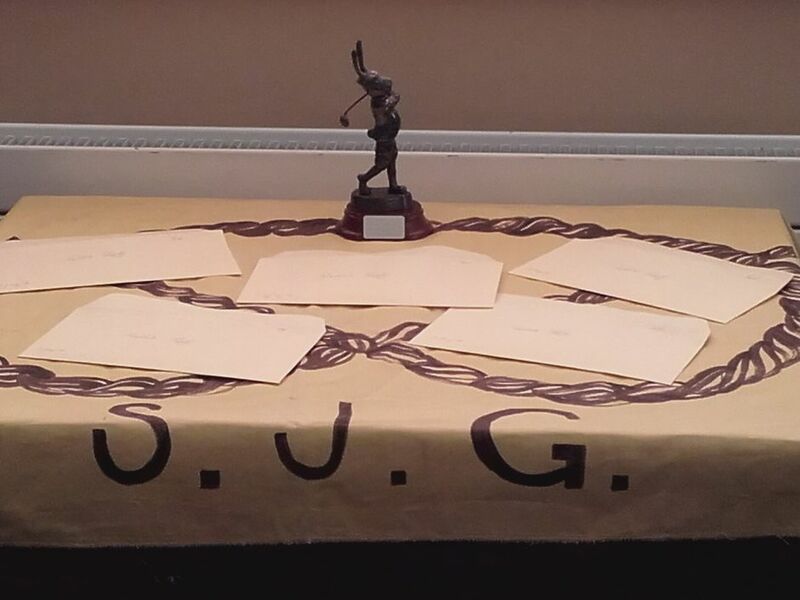 What a day was had at Trent Lock golf club where 6 counties converged to play in Finals matches and 9 hole competitions. 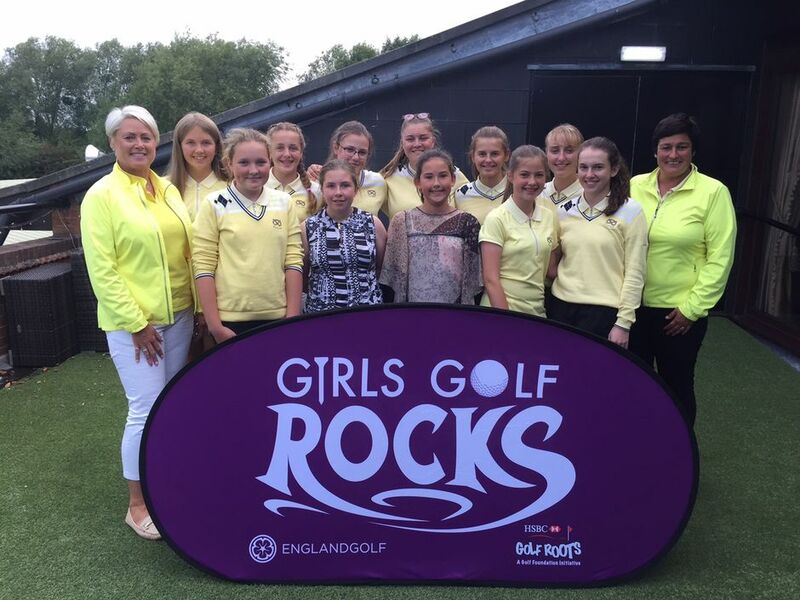 120 girls from the Midlands North, from Elite players to beginners all embraced the atmosphere and even the CJOs tried the putting challenge. 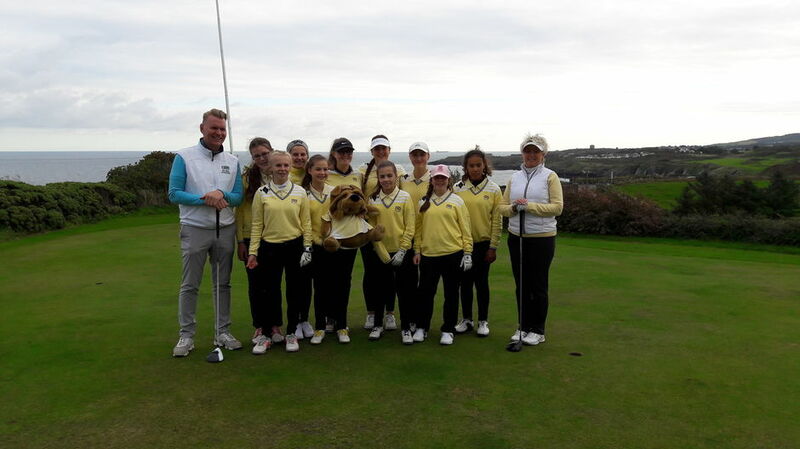 Dignitaries from all of the counties including our own, Diana Jeynes, Penny Small and Louise Manning, were on board to start the girls in their matches and the entertainment was enhanced by a trick shot show by Rob Brown. The food was delicious. Trent lock did a great job. Our scratch team won their final match against Shropshire a convincing 4 1/2 to 1 1/2 and retained the Scratch league salver for the Second Year. Our handicap team were always under pressure with giving away a lot of shots. All great experience. 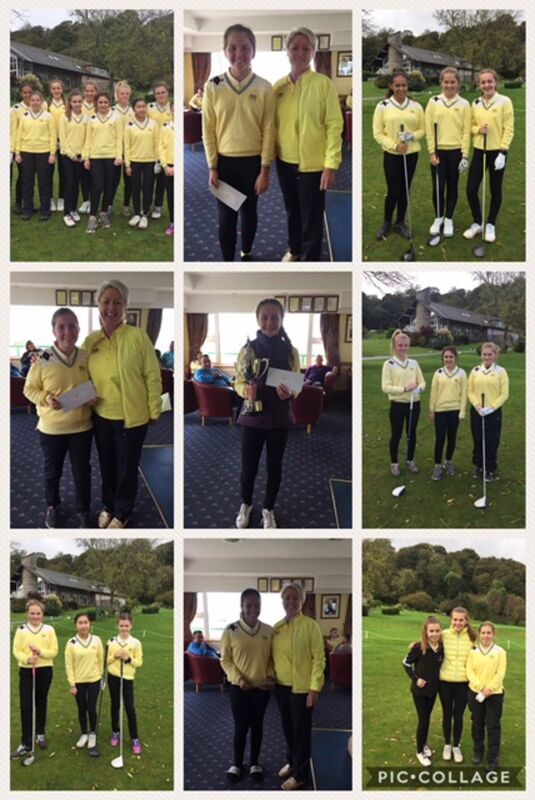 Our smaller players did us proud with Georgia Lynn from Trentham winning a short game comp and Mia Sepe from Onneley her 9 hole division. Congrats to all our girls. This year's teams have been Emily Brennan, Morgan Thomas, Courtney Brown, Ella Pugh, Hannah Goulding, Rachel Birch, Leanne Nixon, Katie Symmonds, Katie Matthews, Phoebe Perks, Emily Sutton (captain), Holly Hunt and Georgia Pritchard. We wish Emily Sutton luck as she has started college in America. 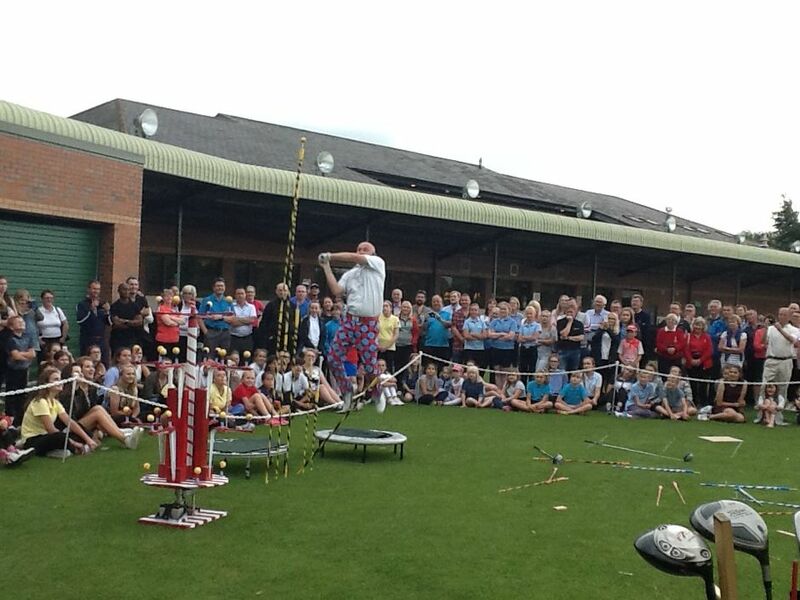 On the 15th August the Bronze Cup and the "Blue" competitions were held at Stone Golf Club. The latter competition is for girls who do not have a CONGU handicap and is played over 18 holes. 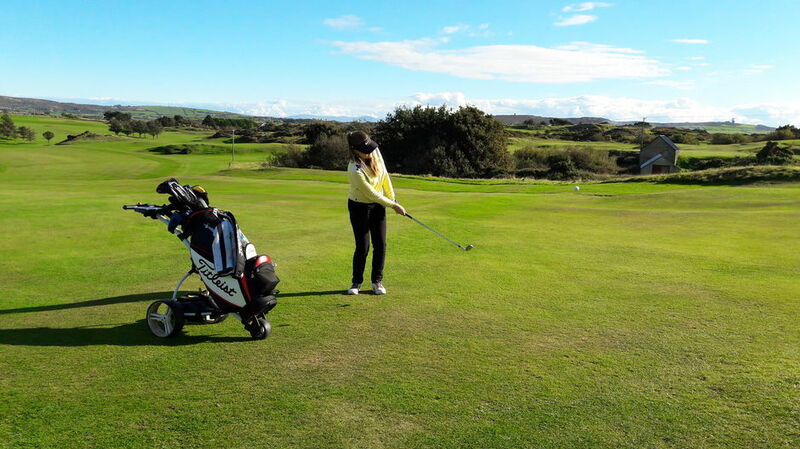 The weather was good and the girls all enjoyed their golf. Our girls have done us proud again affirming our dominance within Midlands North by remaining undefeated for a second year. 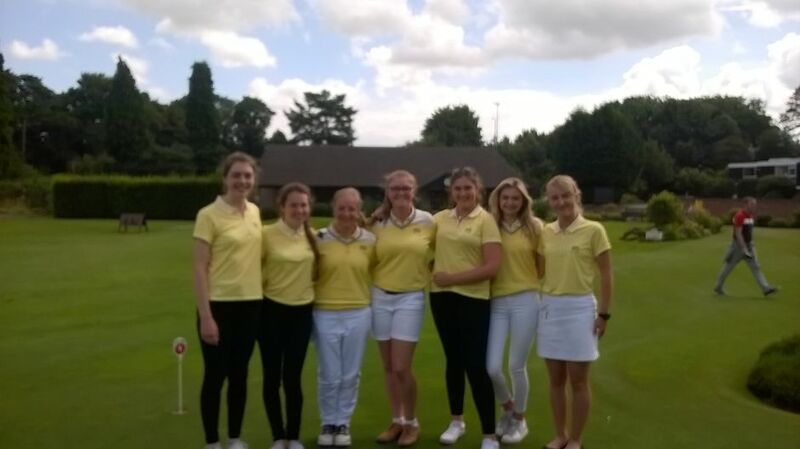 Having beaten Notts and Derbyshire at Lingdale golf club earlier this year they repeated their success by beating Leic and Lincs at Chevin golf course on 8th August. 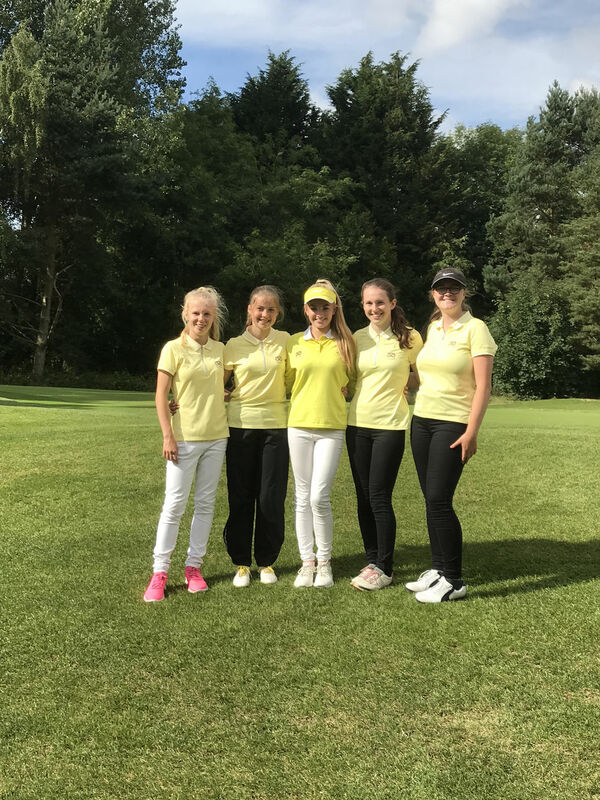 A final match v Shropshire will occur on August 22nd as part of the Celebration of girls golf held at Trent lock golf club. This is the first time an event of this size is happening with 120 girls from 6 counties converging on Trent lock. 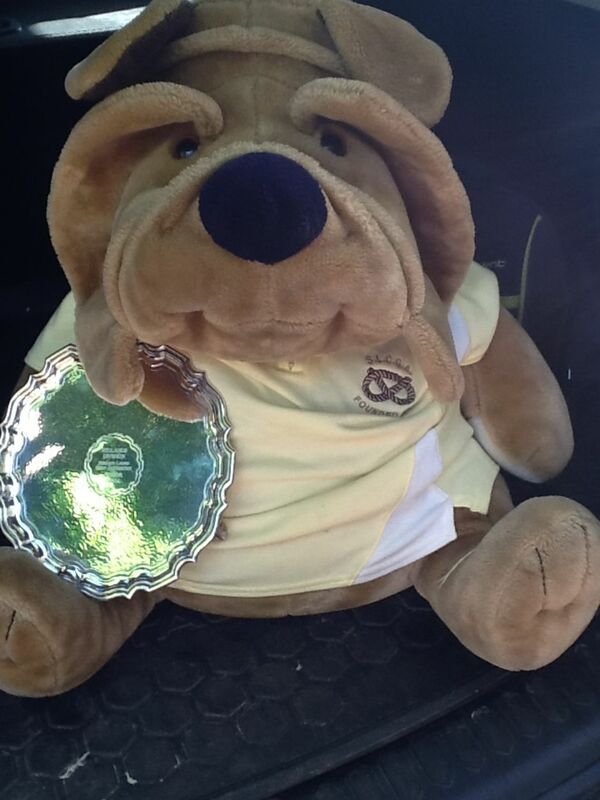 To add to the accolades Staffs won best nett team prize at the MNR event held at Keddleston on 5th August with Elka Pugh from Walsall winning best nett prize. 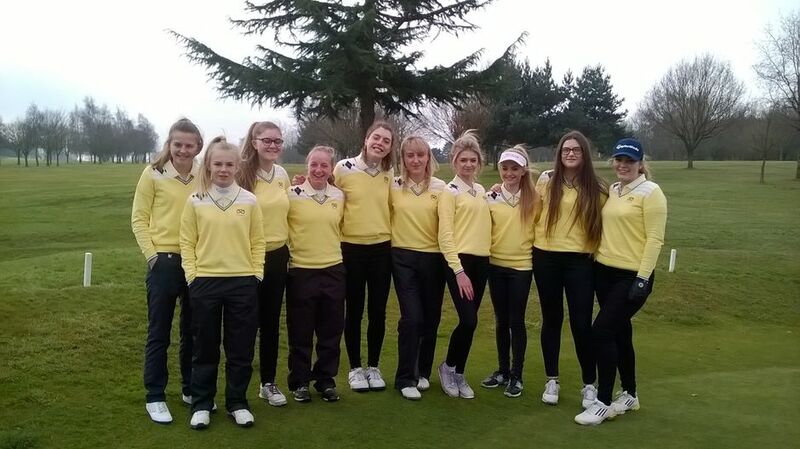 Birstall GC played host to our new format of 36 holes against 2 counties on one day and Staffs girls were victorious beating Derbyshire 6-0 and Notts 4 1/2 1 1/2. The weather was dreadful but Morgan, Emilies Brennan and Sutton, Rachel and Ella and Georgia did us proud. Next is Lincs and Leicestershire at Chevin on Aug 8th. All the girls battled well . weather was wet and cold but they all found it hard to give so many shots. Stone golf club were very accommodating . 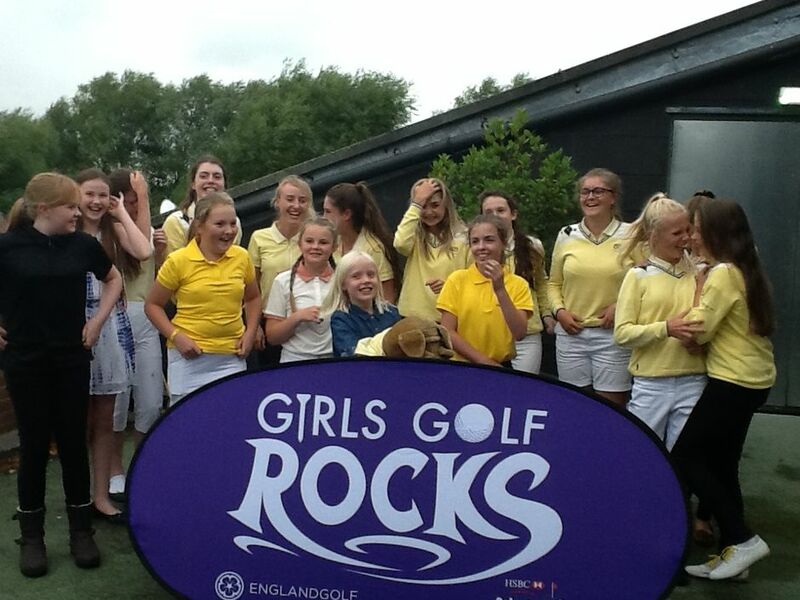 Thanks to Shirley for organising Shropshire girls. Well played . A very exciting Championship was played in very cold winter conditions ! Fern Clark emerging from a disappointing first round to win by 1 shot from Morgan Thomas. Both girls from Beau Desert GC. We had one of our biggest turn outs for the championship with 15 entries plus a few new faces, thank you girls for your support. The pins had been placed in some difficult positions which made putting tricky. 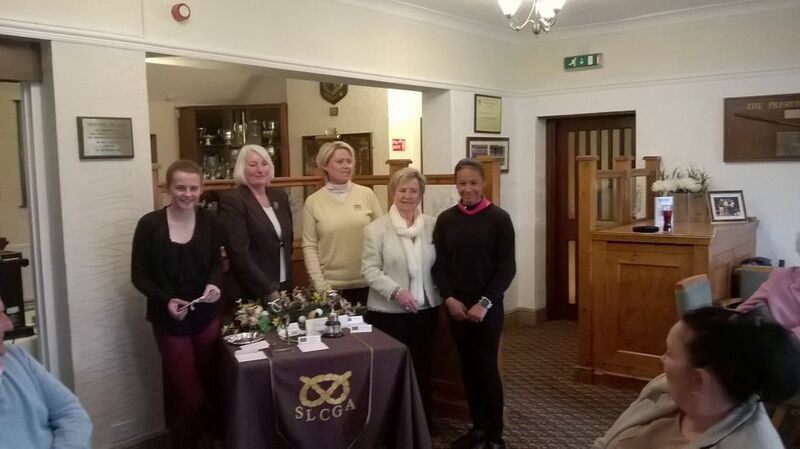 The course had been presented well by the greenkeeper and his staff, we were looked after by the Ladies of Oxley Park especially the County Delegate, Sandra Redrup, Joan - Ladies committee and The Lady Captain, who organised ball spotters, 1st Tee Starters, local rules and home made cakes !! Thank you to everyone who contributed in making the championship a success. Next years Championship is at Sandwell Park GC Thursday 20th April. 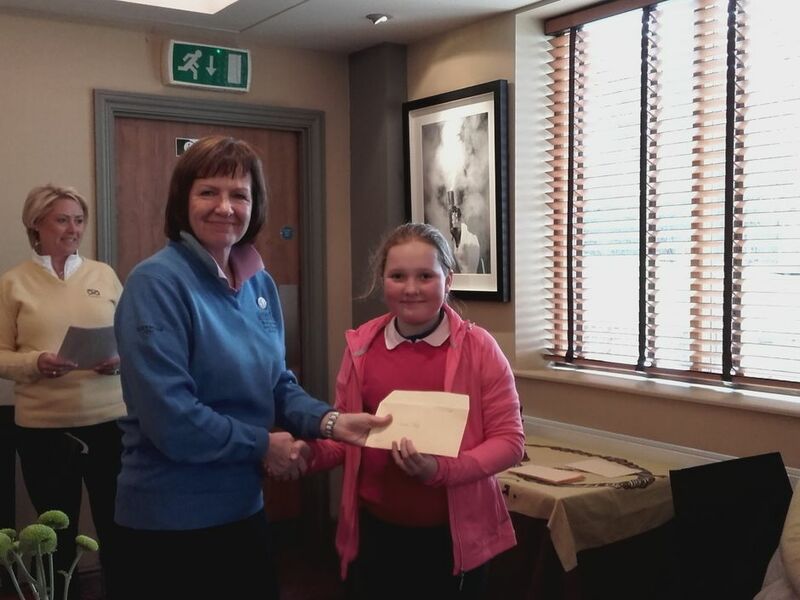 Kate Matthews won the Bronze Division of the 2016 Staffordshire County Junior Girls Championship played at Oxley Park golf Club. What a day of celebration. 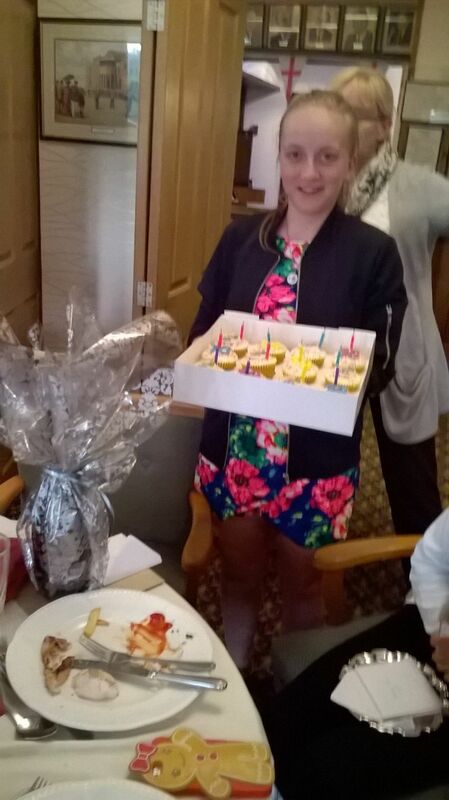 The girls' captain Emily Sutton's 18th Birthday and a great turn out of players. Oxley park hosted the event and kept us well fed and watered with home-made cakes and hot coffee. 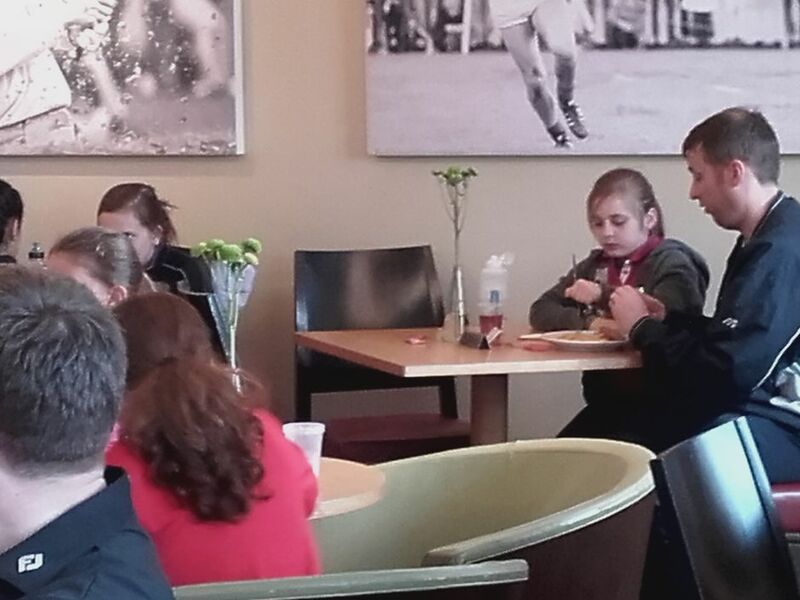 The hospitality was superb and the girls played well despite the rain, cold and wind. Many congratulation to our winners. Our thanks go to Lady Captain - Pat Rogers, Lady secretary - Joan Lee, Junior organiser - Pete Prescott, County membership secretary - Mike Entrecote, Sandra, Maureen and Janet for helping with the younger players and all ball spotters and starters. Thanks also to our Junior county committee : Julie Brown , Wilma Kyle, Therese Douglas, Maria Pritchard and Our President Val Mason for coming to watch the girls in action. 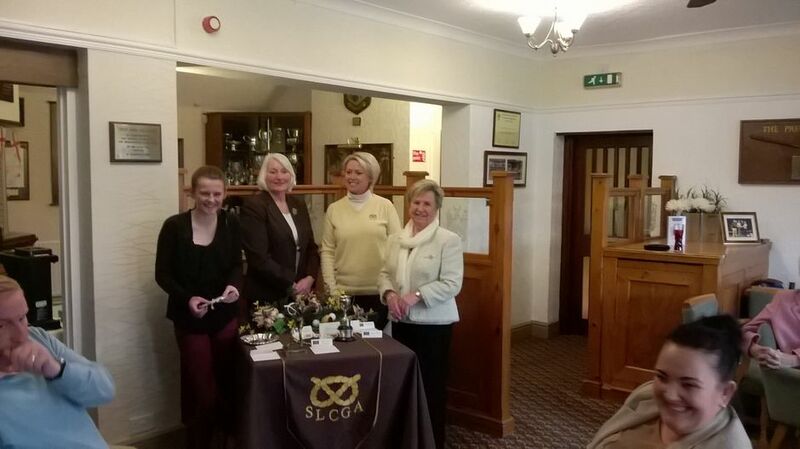 The Rabbits Trophy was held at Lichfield Golf and Country Club. 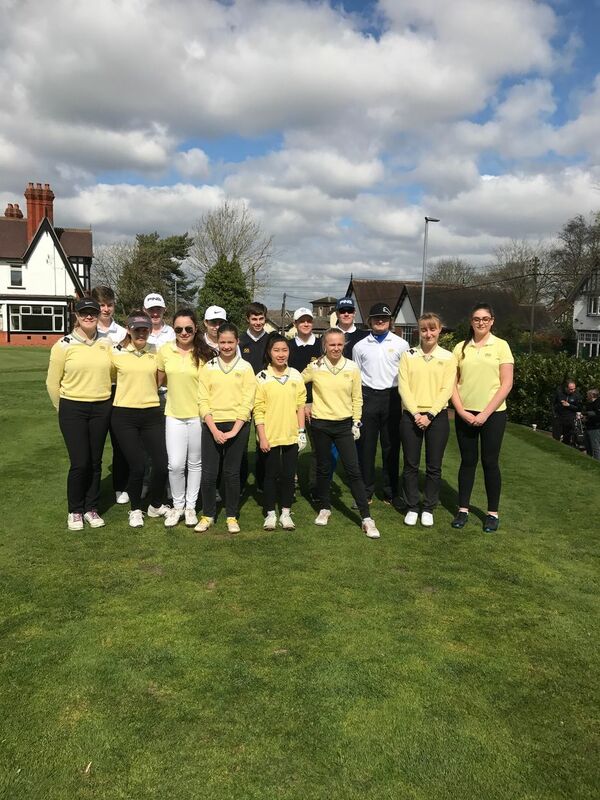 Walsall ladies hosted a match on Sunday 17th April against our girls and with the sunshine and the start of Spring (at last) the ladies accommodated lthe juniors and gave them a run for their money. 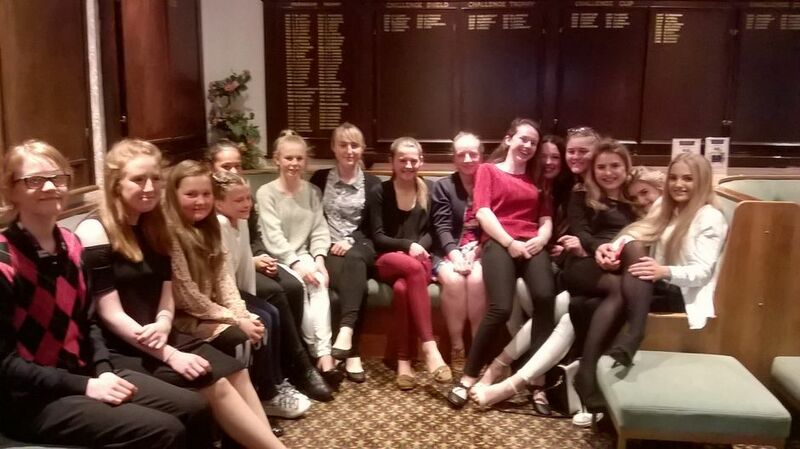 The girls thoroughly enjoyed themselves and special thanks go to Eileen Geddes who has moved to Whittington Heath and has organised the fixture for the past number of years. We thank her for her time, effort and generosity and wish her well. Thanks to Maria Pritchard for organising the match today. 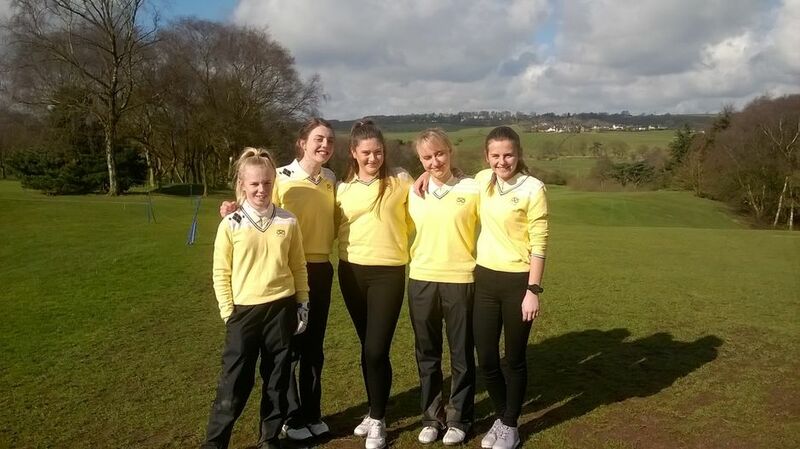 Leek golf club was the venue of our first county fixture with Holly, Katie Symmonds, Phoebe, Leanne and Katie Matthews playing for Staffs. A tough match with our girls giving a lot of shots. They played well and the score of 1/4 defeat doesn't reflect on how well they played. Well done girls. 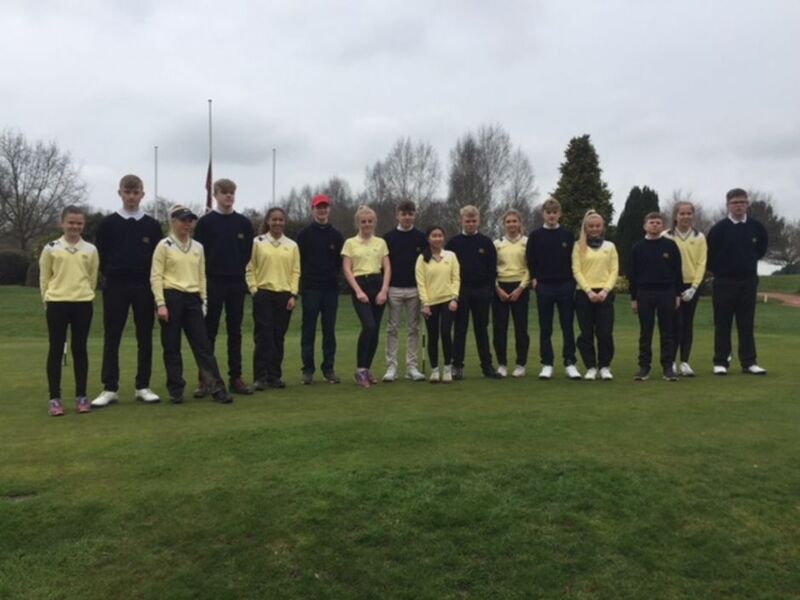 Trentham golf club hosted the annual county boys v girls. Our team looked great in their new kit and played well. We narrowly lost 6/4 and ours girls showed what they are made of. So onwards to our new season and we look forwards to another successful year. 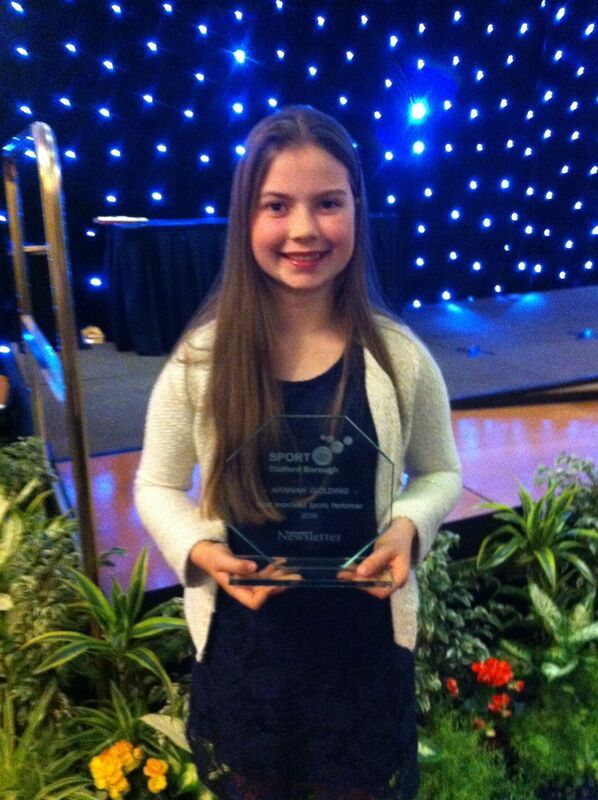 The ultimate Sports accolade was given to Hannah Golding on Friday 26th February 2016 where she won the Stafford Borough Most Improved Sports Performer of the Year Award at the Annual Awards for 2015, which is sponsored by Stafford Newsletter. The night was well attended with quite a few members from Brocton turning up to support Hannah in her achievement. 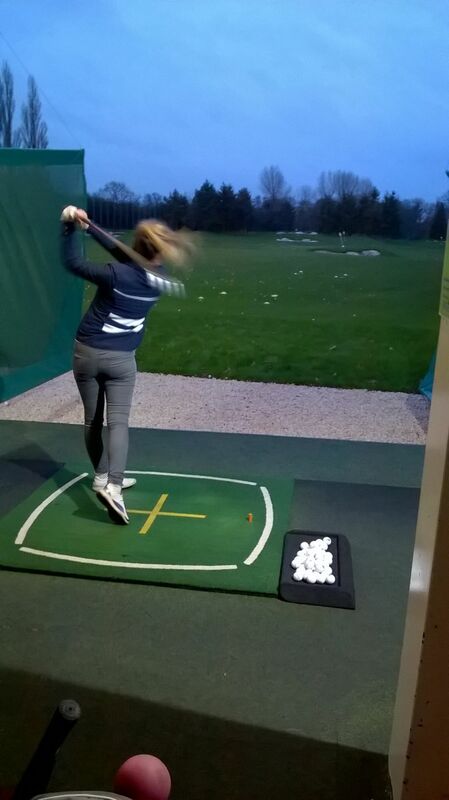 2015 has been a fantastic year for Hannah, not only at club level but at County and England Golf levels. 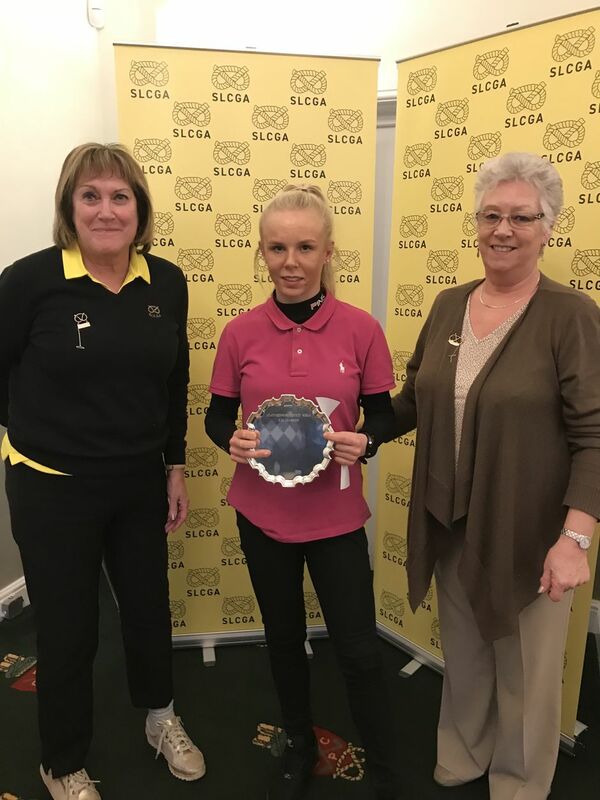 Her achievements include, winning the Staffordshire Girls 36 hole Nett Championship (at her first attempt); second in the Staffordshire Junior Order of Merit in both the Nett and Gross Divisions and winning the Staffordshire Girls U12 Championship. 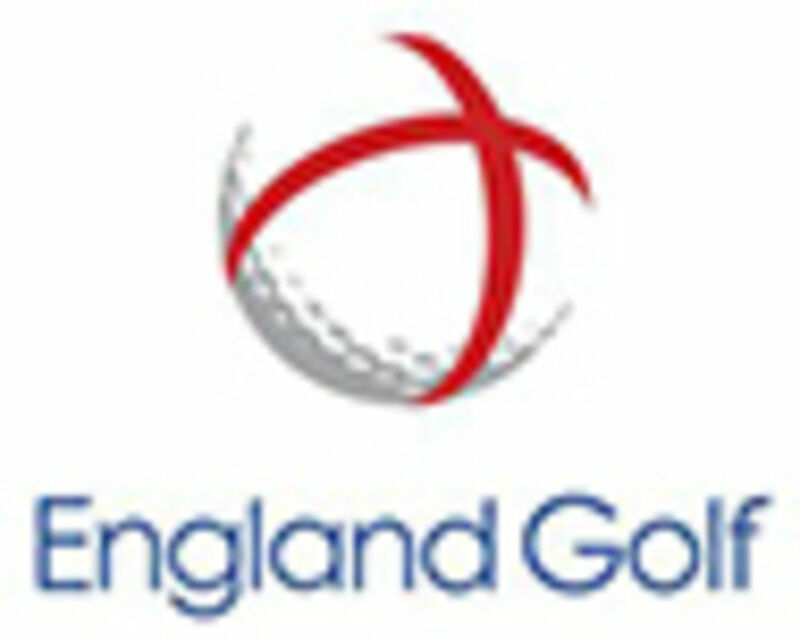 At an England Golf level, she qualified via the ladies section to play in the Regional Final Gold Medal. This is awarded to the lady with the best four medal rounds during the (previous) year. The top ten qualifiers from each region then go forward to the National Grand Final competing against ladies from all the other English Regions. 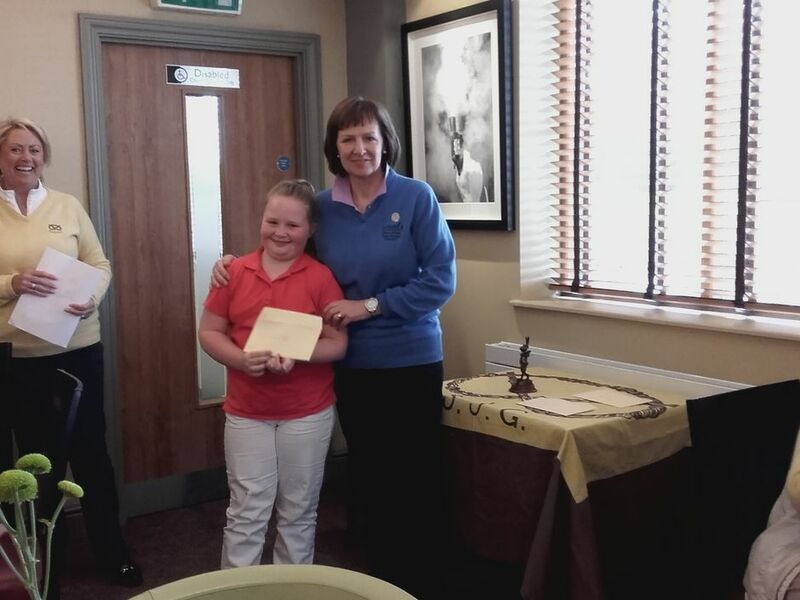 Hannah came third in the Regional Event and so went to the Grand Final. Here she competed against much more experienced lady players and was by far the youngest competitor. Hannah came second in this National Championship. In 2015 Hannah, for the second consecutive year, qualified again for the E G Gold Medal, so will be playing in the 2016 competition. 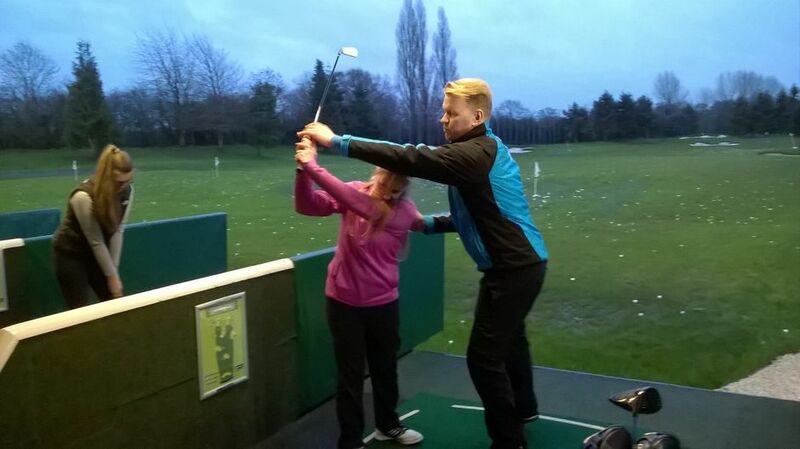 Hannah’s handicap has dropped from 22 at the start of the season to 12. We wish you a very successful 2016 Hannah. 3 hammers with Rob Bluck and first junior county training for the girls. Serious stuff in preparation for tho season. Bring it on girls - Mandy Ambert. 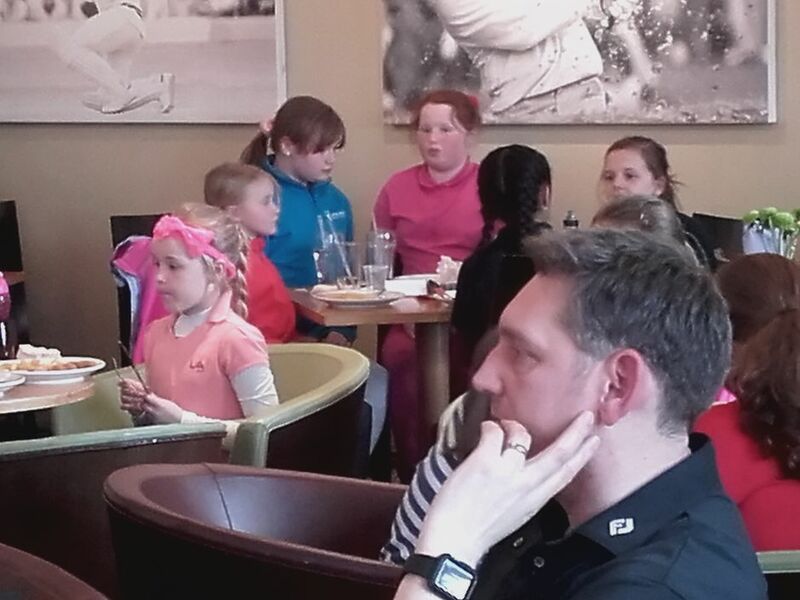 36 girls played, followed by sandwiches and chips. Presentation of prizes. Retiring Captain passed the badge over Fern Clark. To Emily Brennan vice Captain, as next years Captain Emily Sutton was in America visiting an university. Fern made a great speech and wished everyone success for next season, as she now leaves the juniors. County colours were won by Morgan Thomas and presented. The team also saw the salver which they won this year ( MNR League ). 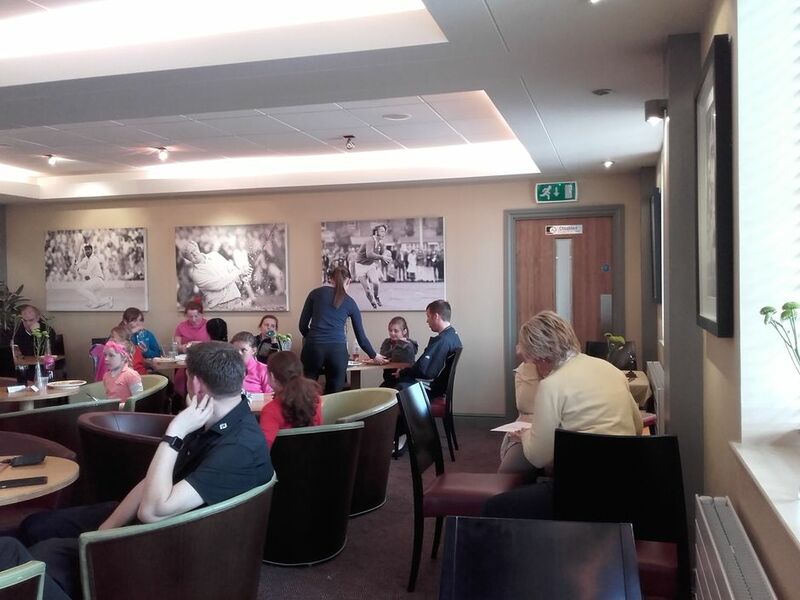 The County players were introduced to the younger players, and county officials who attended the day. Everyone had a good day, and the rain stayed away. 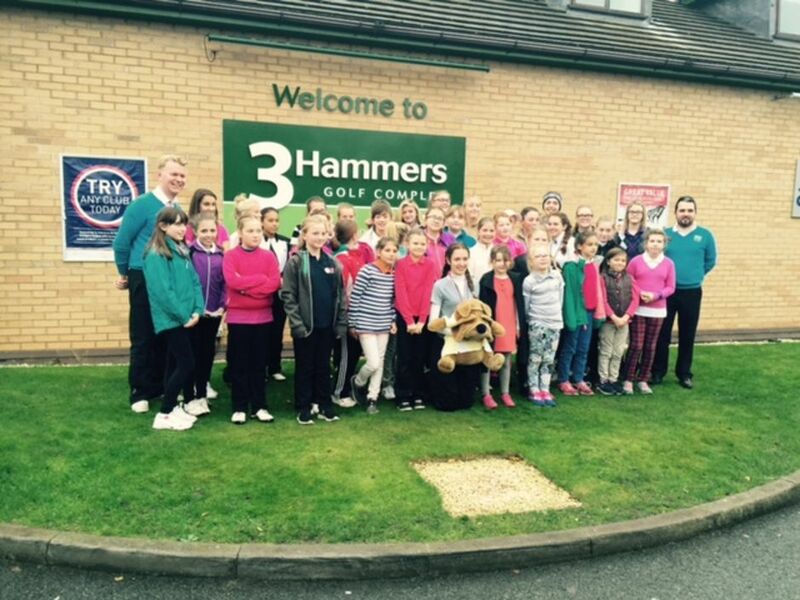 A big thank you to Rob and Tom at The 3 Hammers Golf Complex for organising the day.